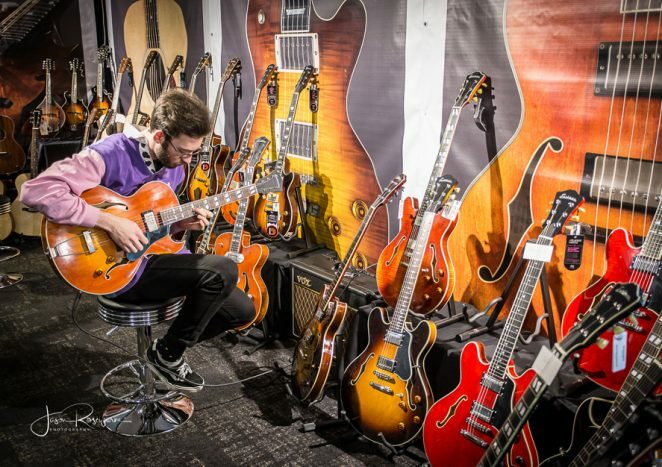 Even the forecast inclement weather decided it wasn’t worth it’s while trying, keen guitar fans were coming to the guitar show anyway and sunbeams may as well be the order of the day. 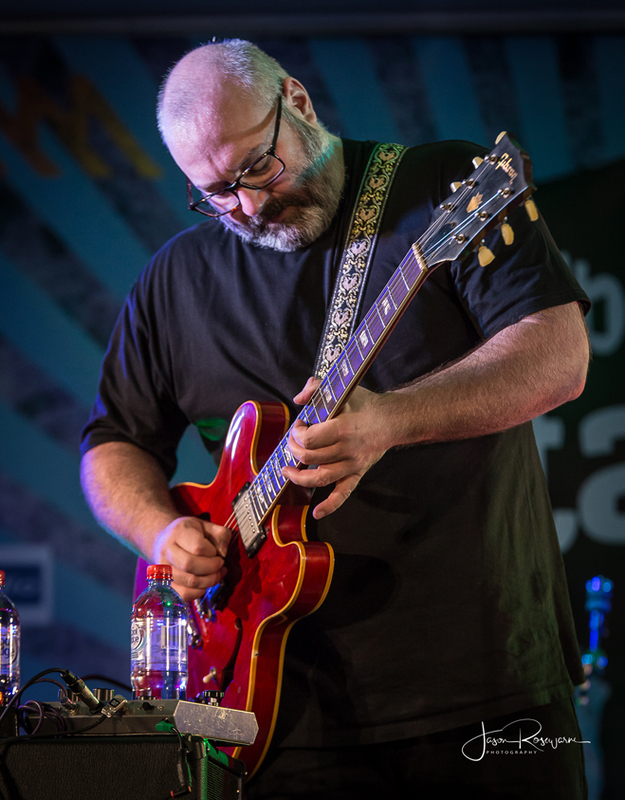 Inside however, Shannon Bourne brewed up a sonic storm, playing tracks from his atmospheric new instrumental solo album Words Fail. 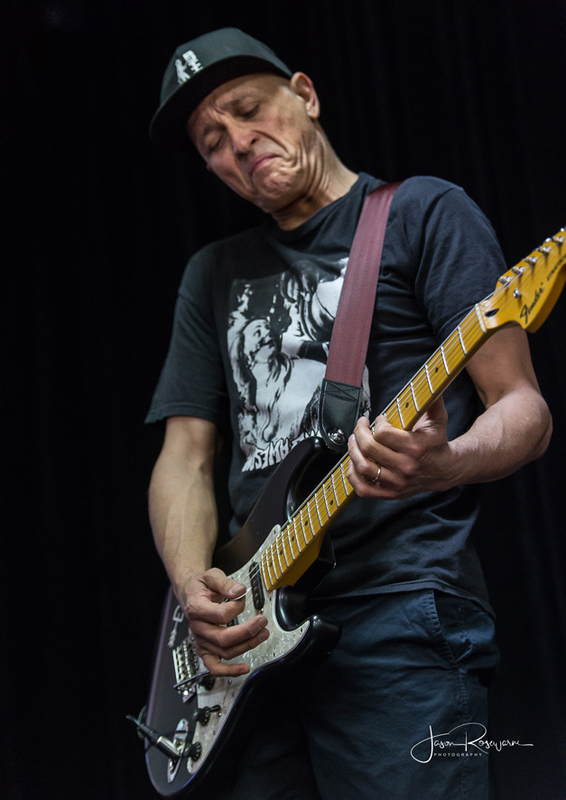 Matched to weird and wonderful video accompaniment, Shannon’s performance was truly a journey into the unknown, utilising layers of fuzz and distortion to sculpt his art. 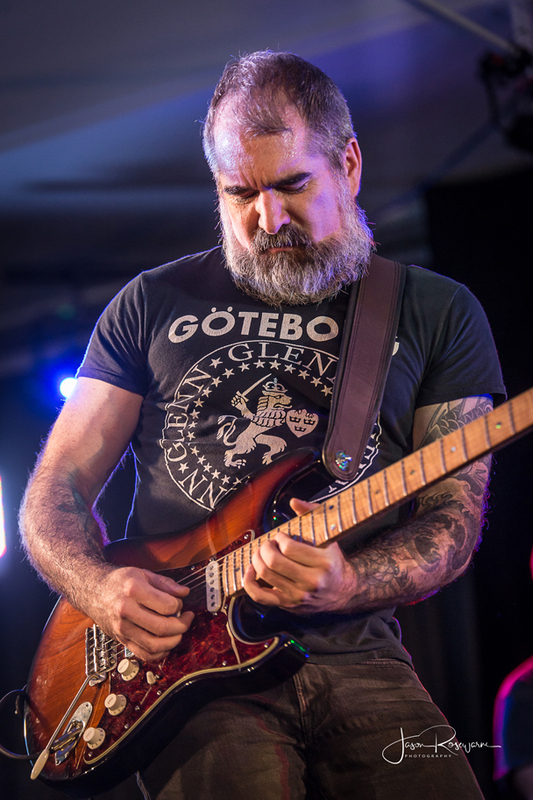 Words Fail is a place where your traditional licks and solos are not welcome, it’s an esoteric art session not a history lesson and people seemed to dig it. 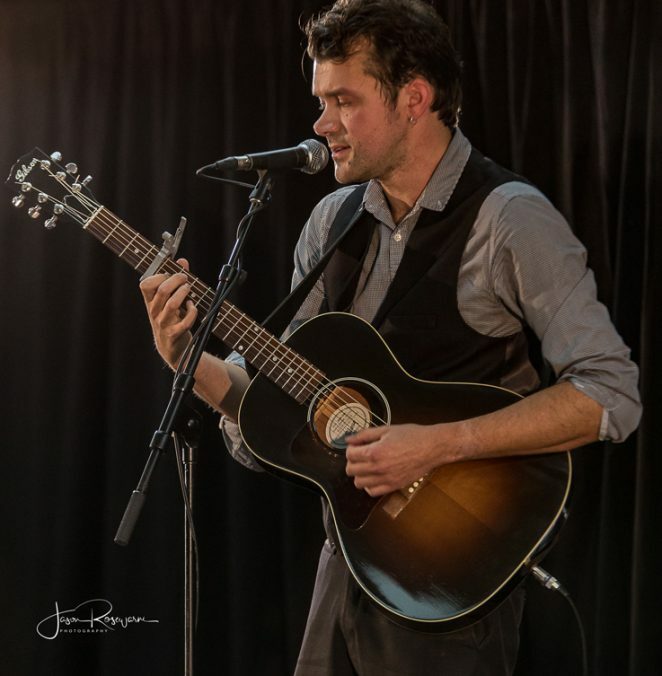 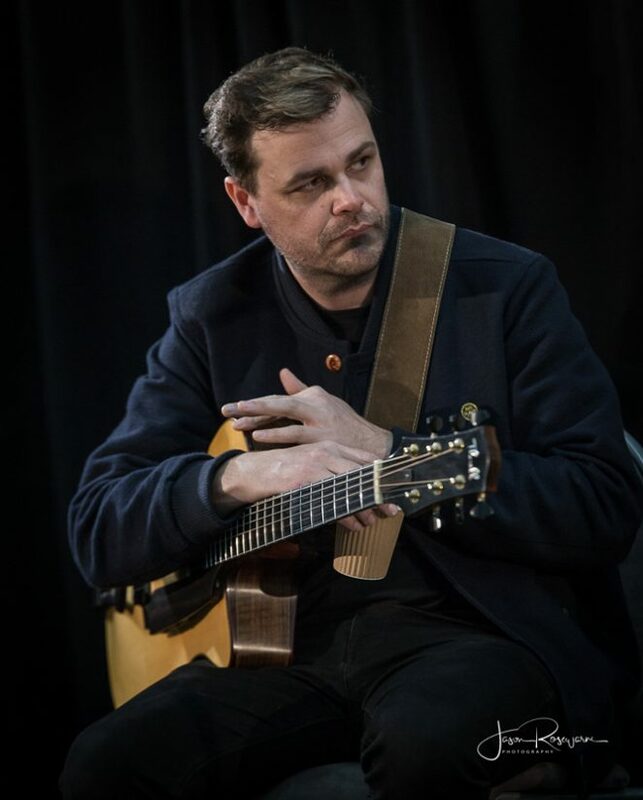 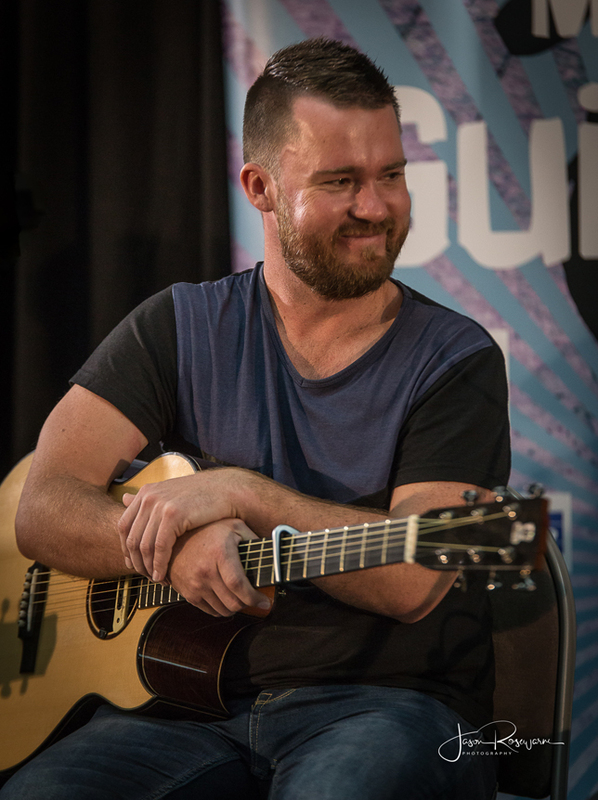 Over on the Exclusively Acoustic stage, the three participants for the day were Van Larkins, Mark (Phisha), Fisher and Thomas Leeb, all incredible fingerstyle players who will be performing for Australian Musician on August 15th at our first Melbourne International Guitar Night at The Toff. 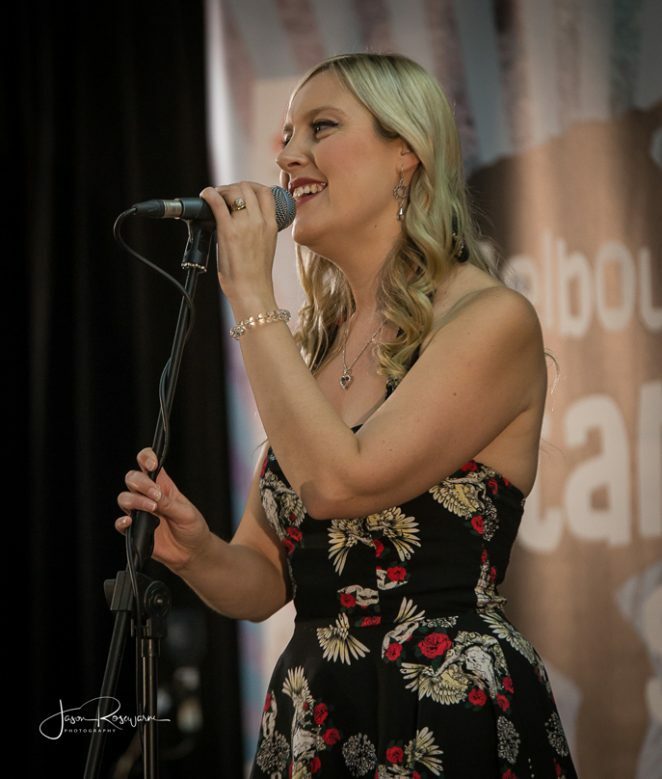 The Aon Mezzanine Stage hosted singer, songwriter Cat Canteri, playing tunes from her acclaimed new album Inner North, followed by a gorgeous performance by Andrew Wrigglesworth and Laura Coates from The Weeping Willows. 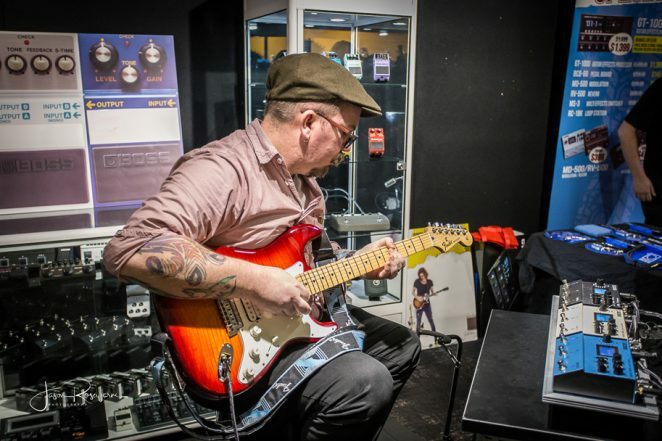 The Winners Circle Workshop Room was buzzing today as Diesel was to launch his limited edition Signature Stratocaster for Fender. 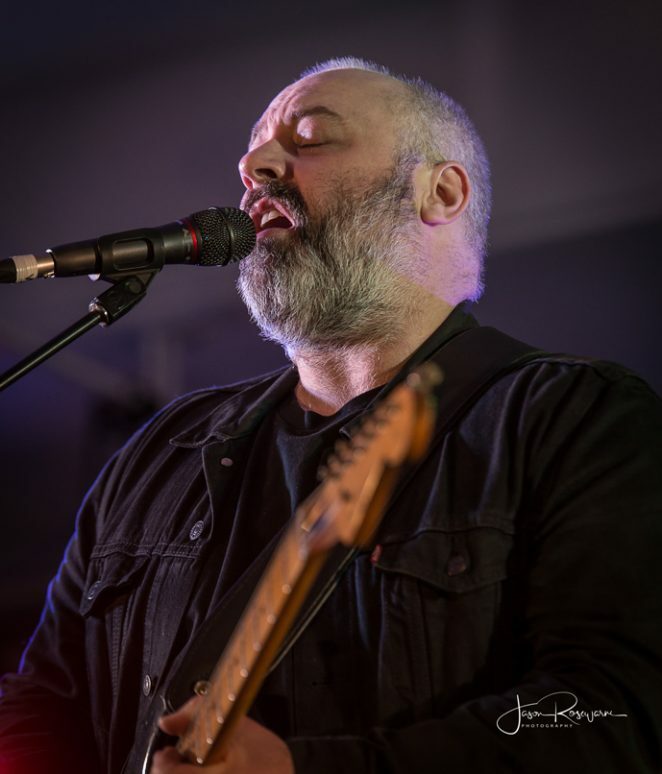 A packed house witnessed this historic occasion and Diesel pulled out all stops to impress, playing a killer version of Hey Joe and finishing up with Cry in Shame, off his album Diesel 30, his new greatest hits package. 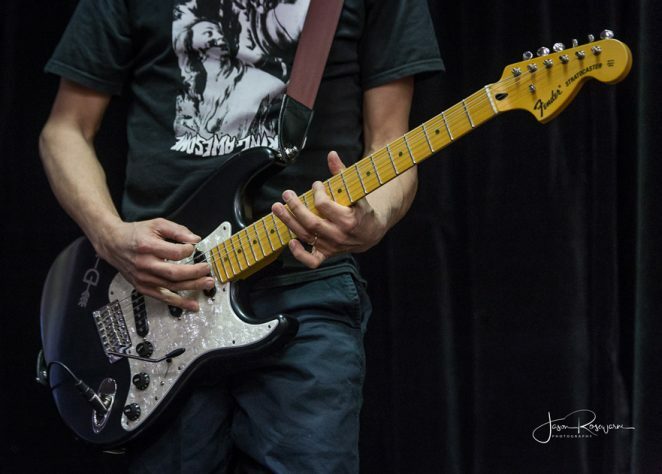 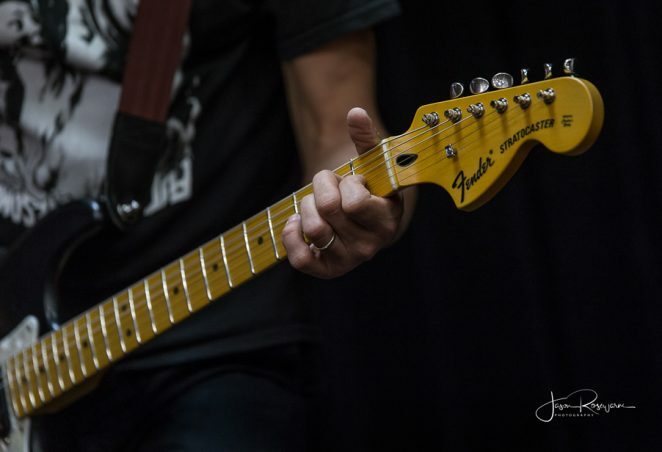 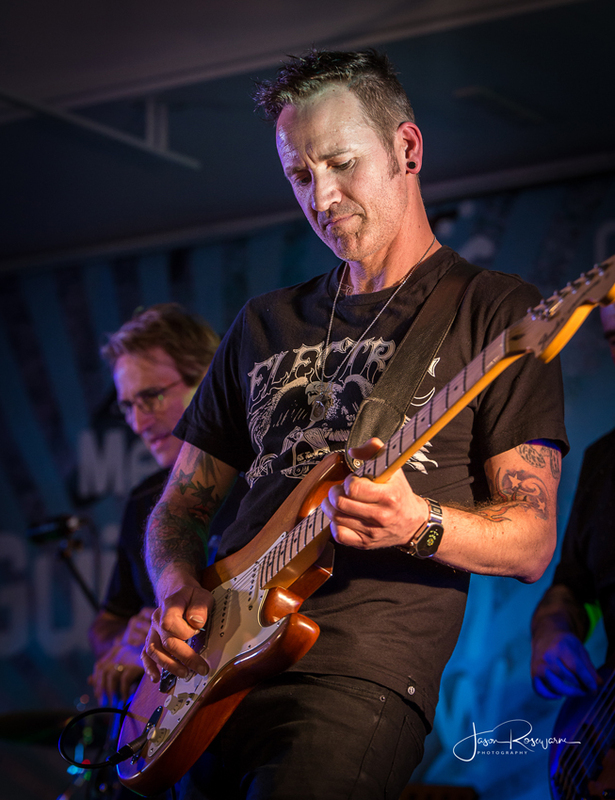 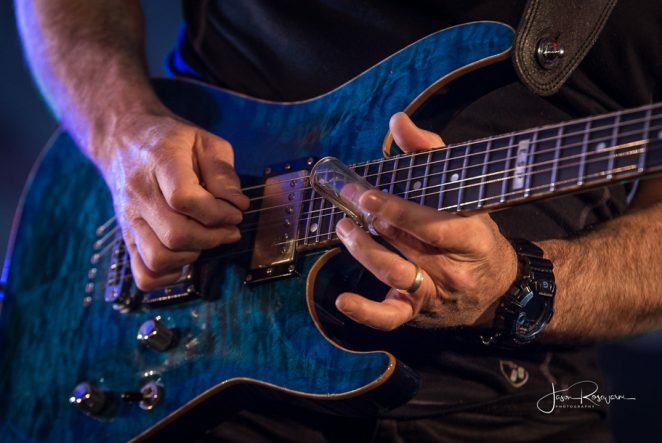 The Strat is loaded with Texas Special pickups to accomodate Mark’s blistering blues tone, features ash body, 70s large headstock, soft V neck profile, 22 medium jumbo frets with aged white pearloid pickguard and contrasting black hardware. 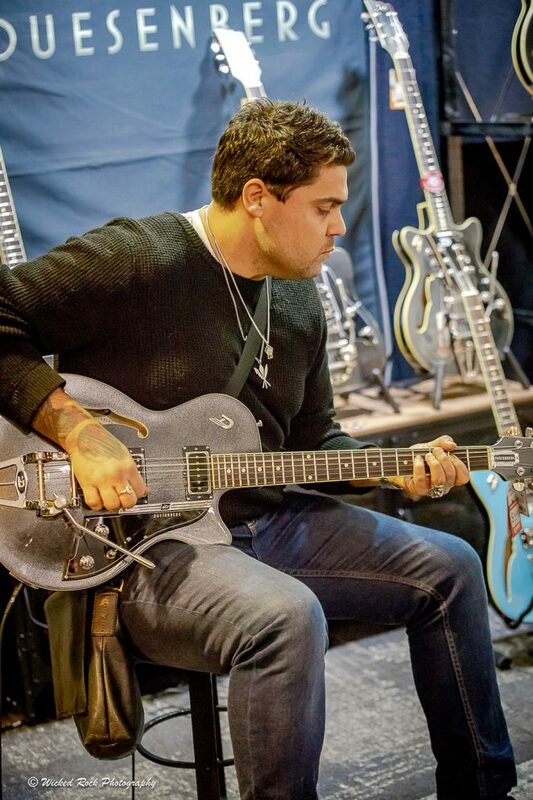 The guitar will be available to buy in December. 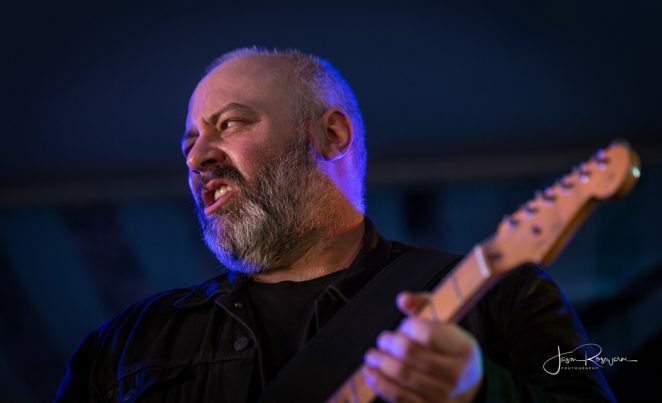 (Watch out for our interview with Diesel about the guitar soon). 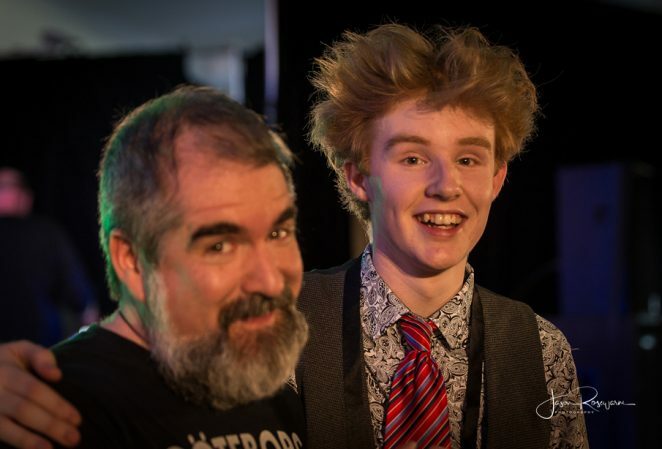 A lovely moment occurred as we were escorting Diesel out of the Workshop room. 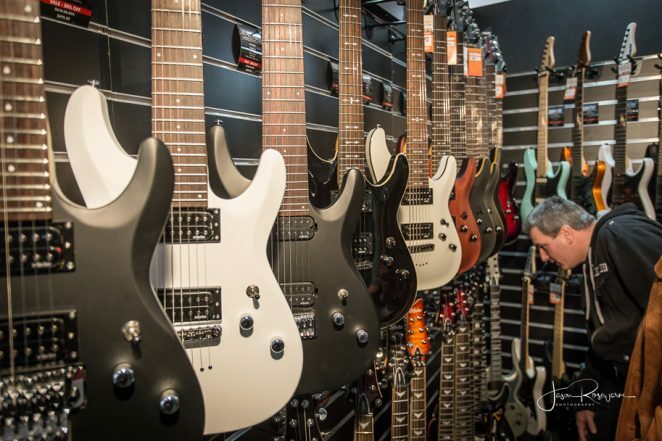 There was a family outside the room where Diesel had just finished his launch. 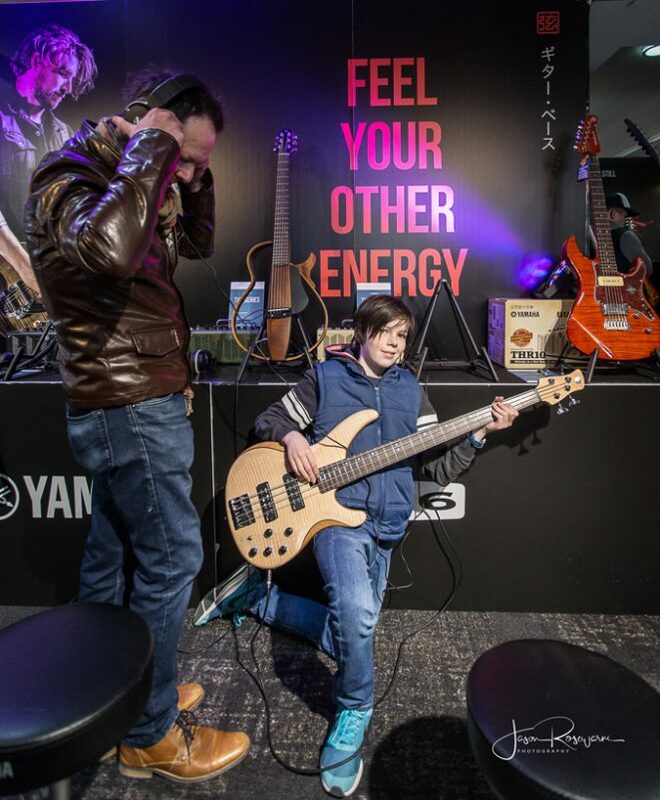 Two excited and inspired kids were standing in front of a Diesel poster having their photo taken by their parents … at the exact moment that we were walking Diesel past on way to the media room. 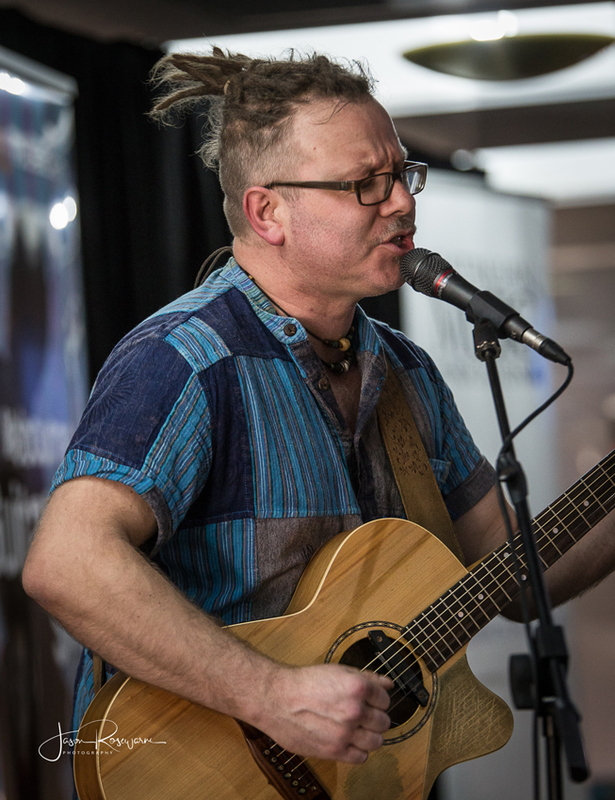 Needless to say the kids faces lit up upon seeing the real Diesel, who of course stopped to give them an unforgettable chat. 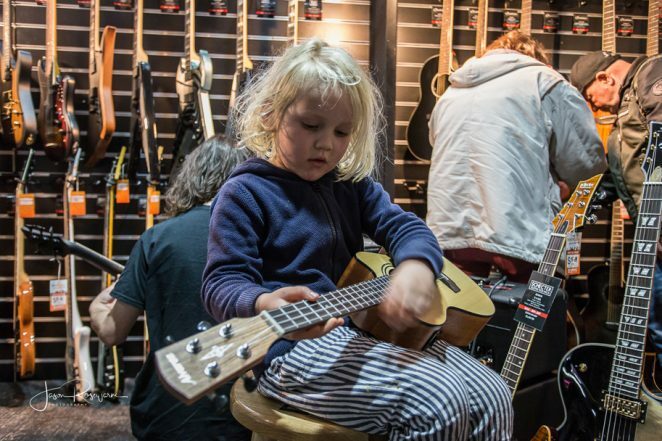 That’s what the Melbourne Guitar Show is all about, inspiring the next generation of musicians. 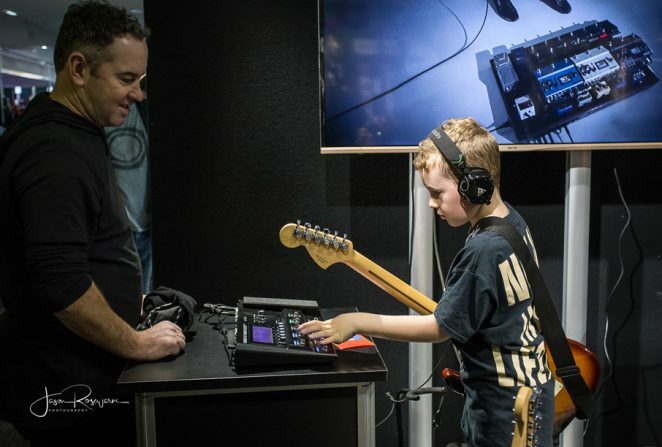 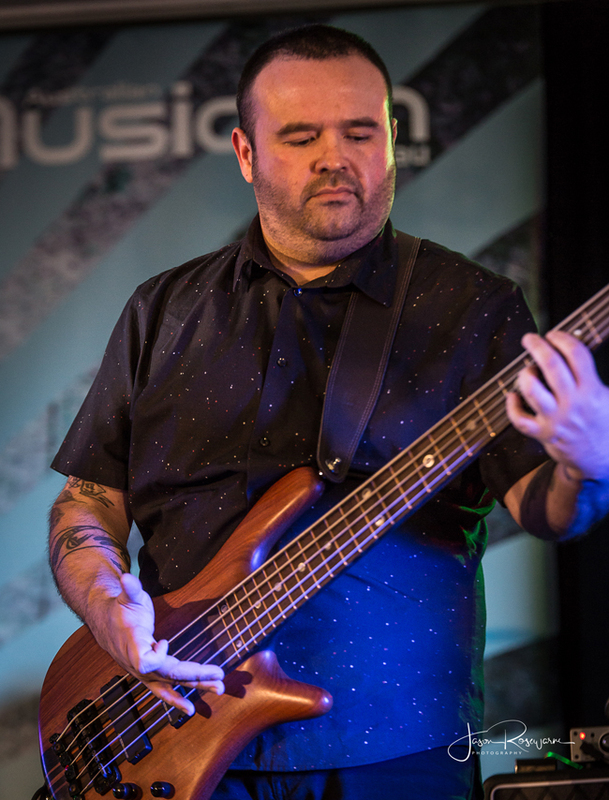 Other great workshops today included the Boss Tone Design session with guitar show regular Josh Munday, a wonderful Line 6 showcase with Michael Paynter, and Michael Dolce’s informative Fractal Audio session. 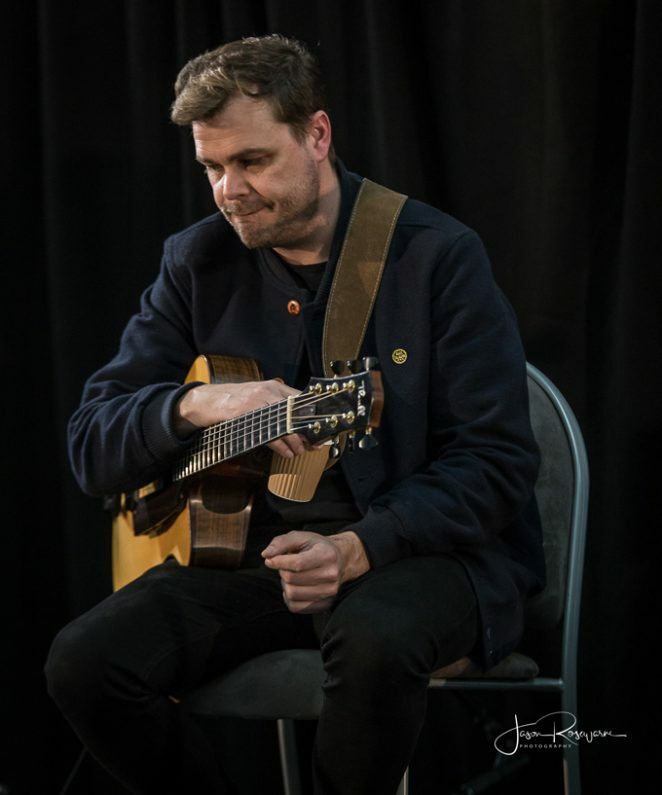 In Peter Hodgson’s Meet the Players sessions, Brett Garsed and Dave Leslie were delighting their audiences with tech tips and tales from the road and studio. 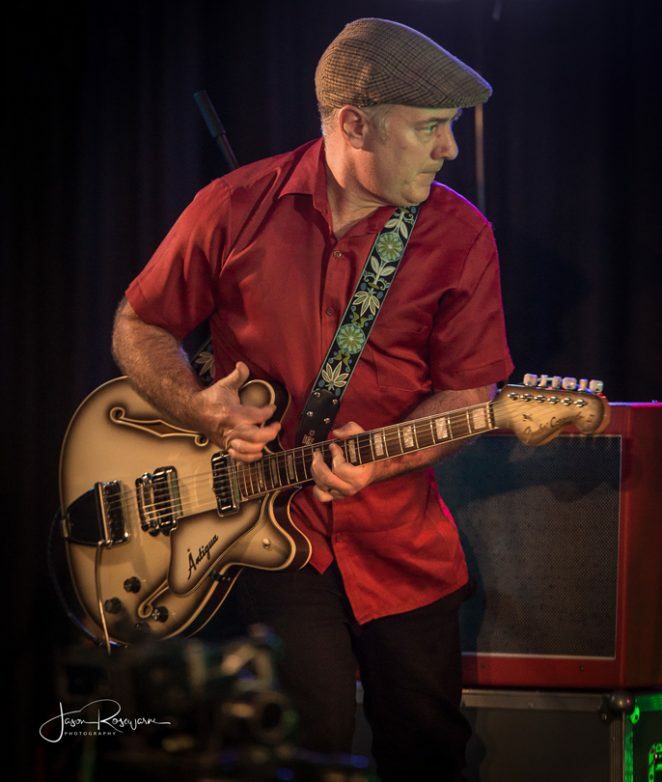 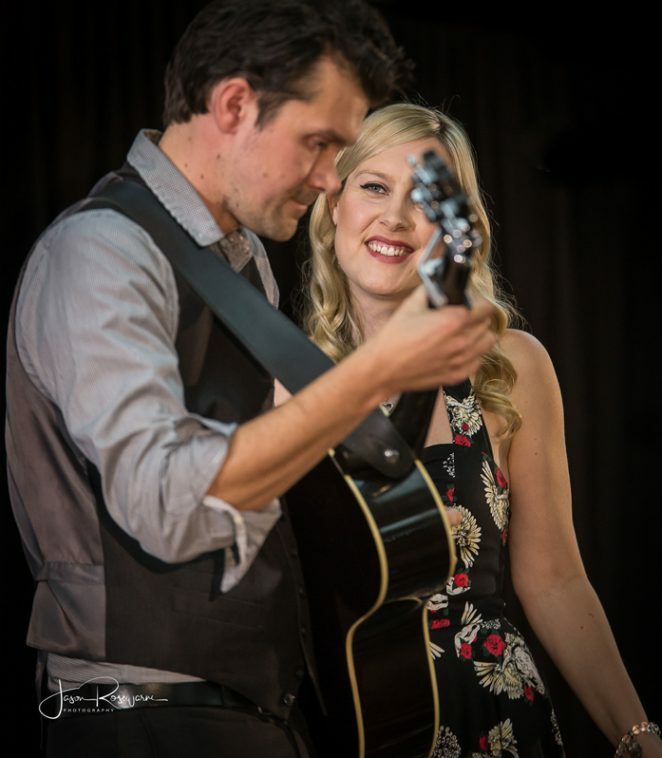 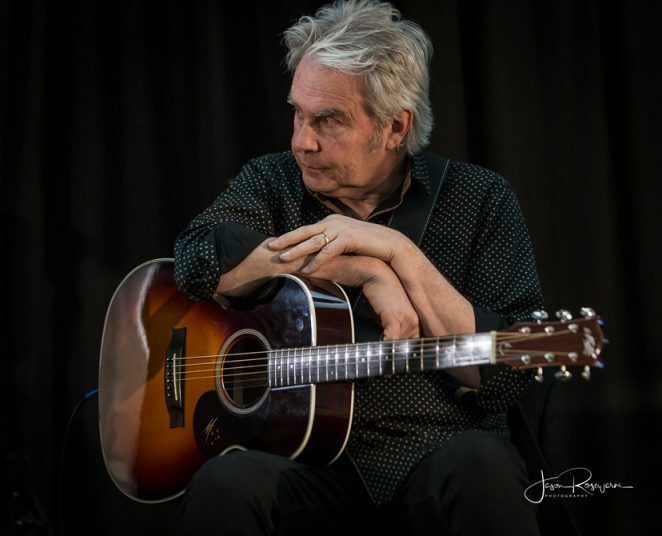 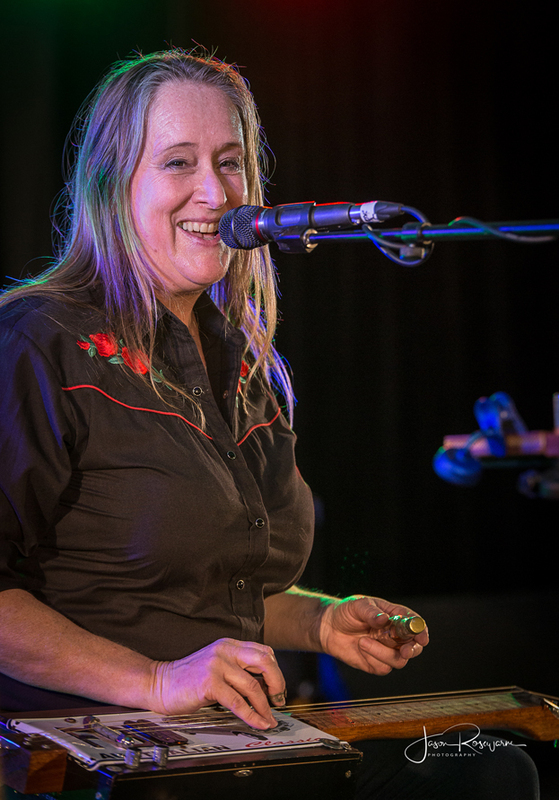 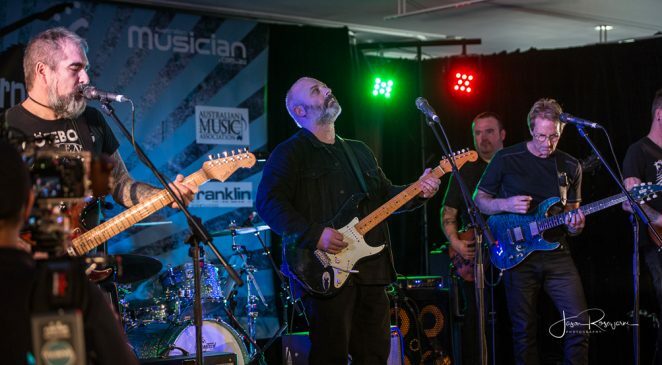 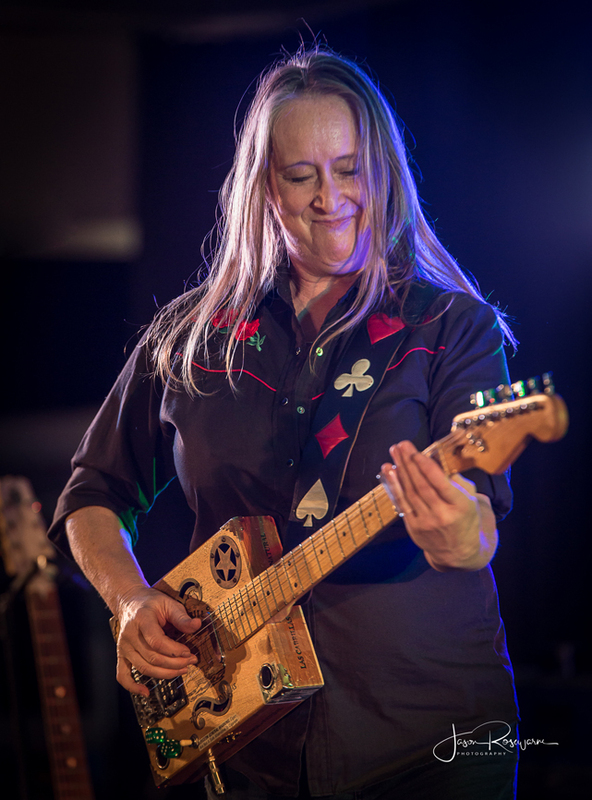 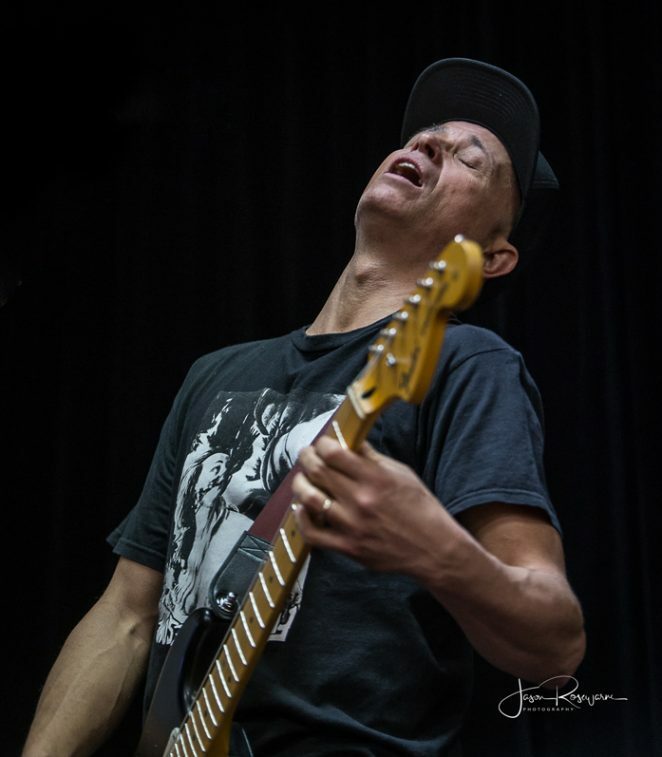 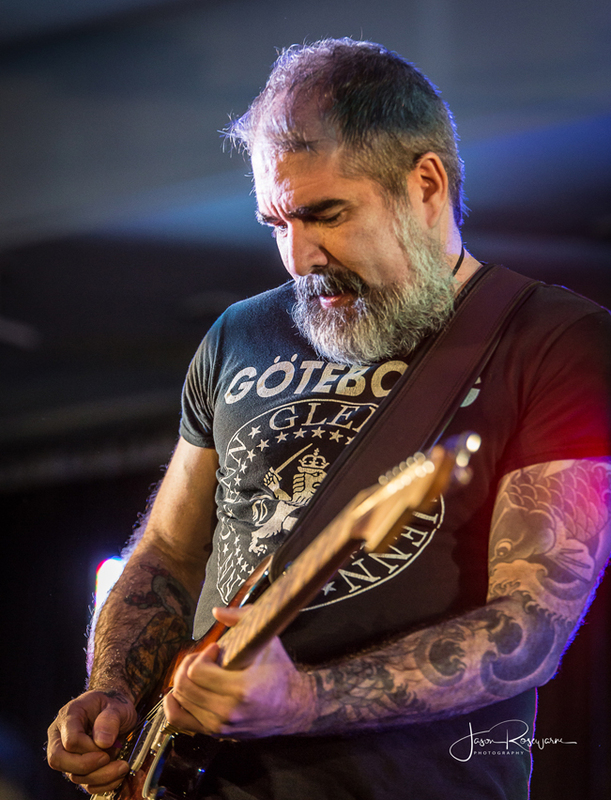 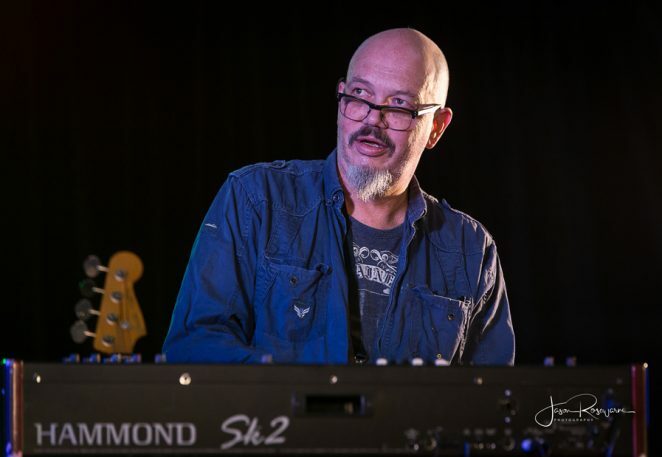 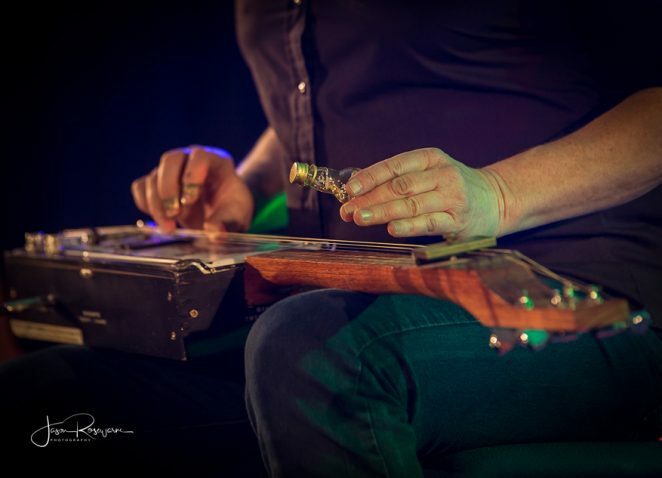 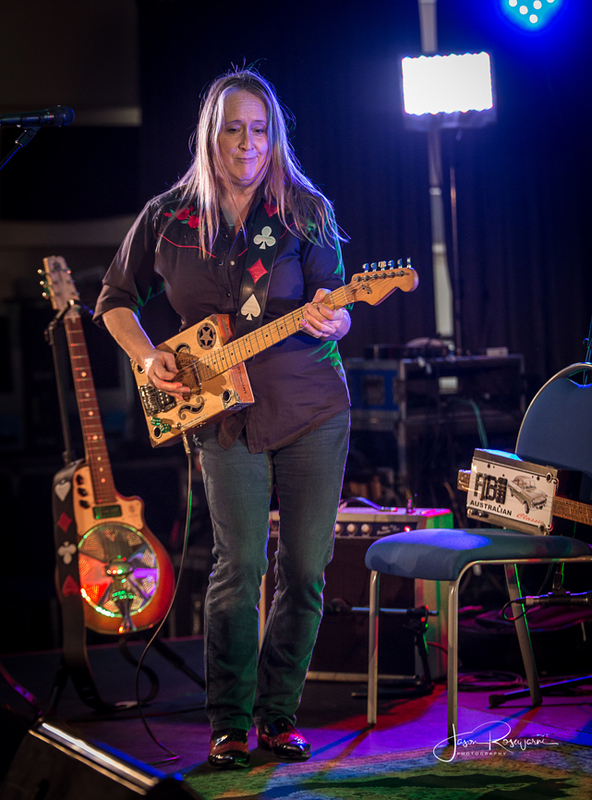 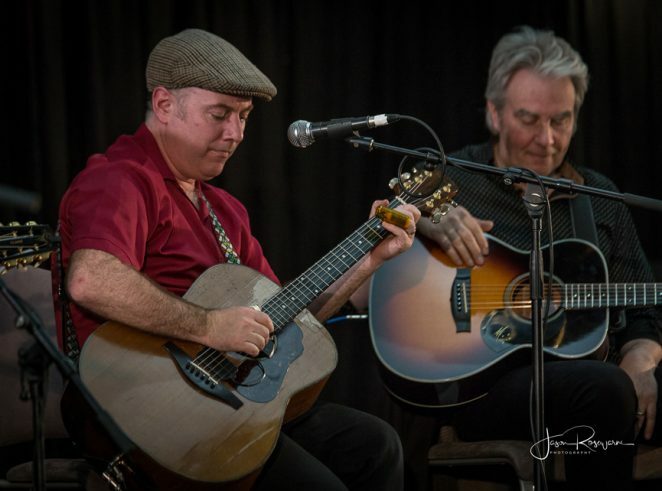 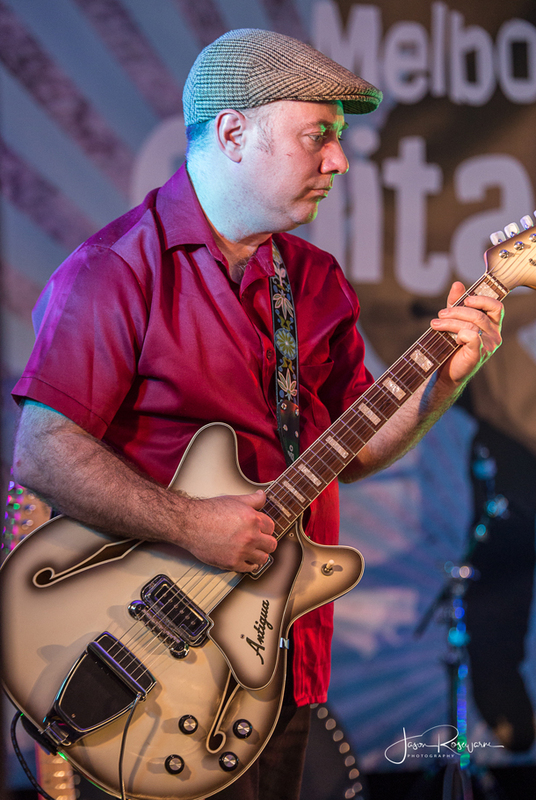 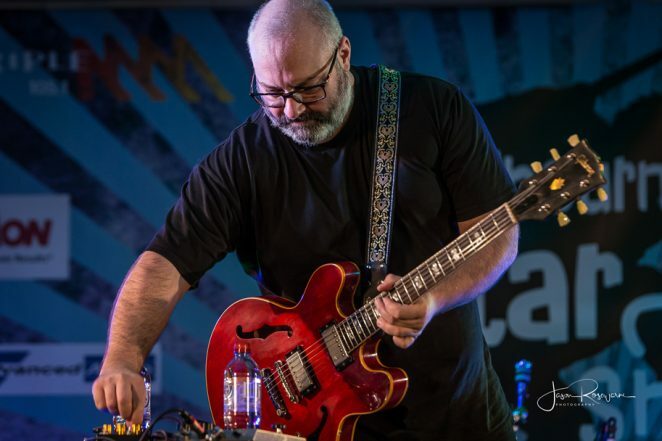 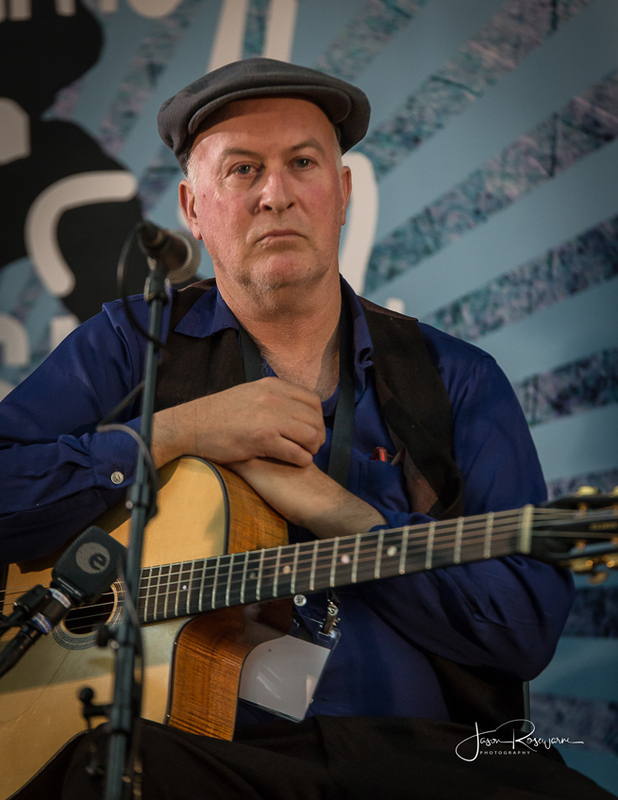 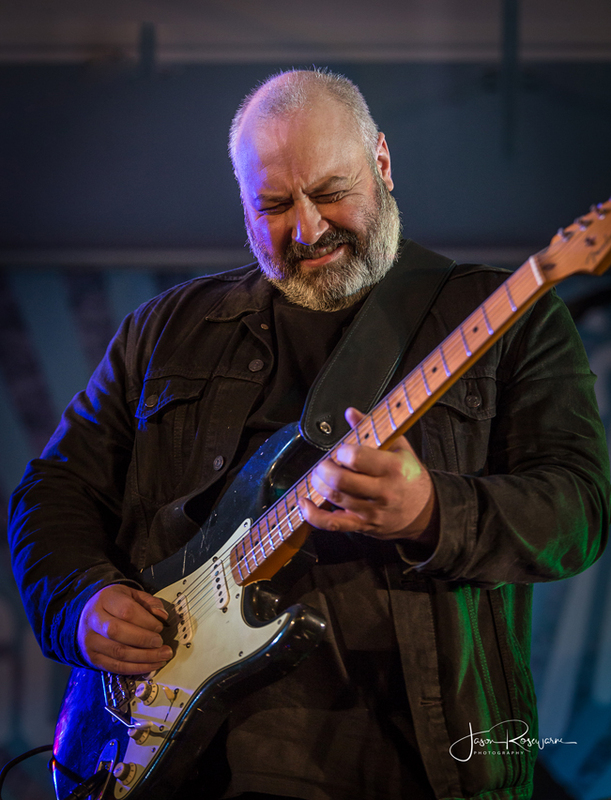 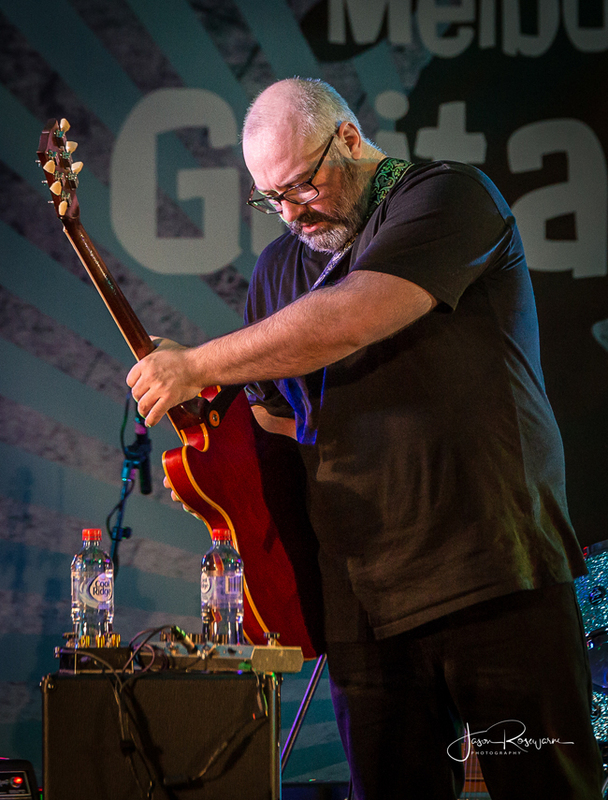 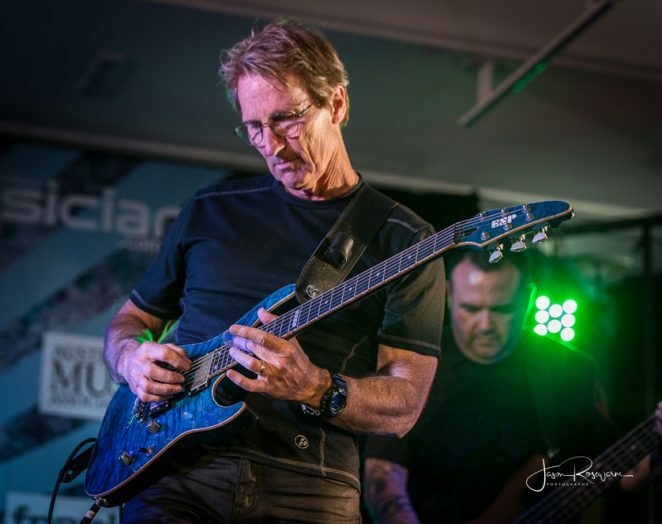 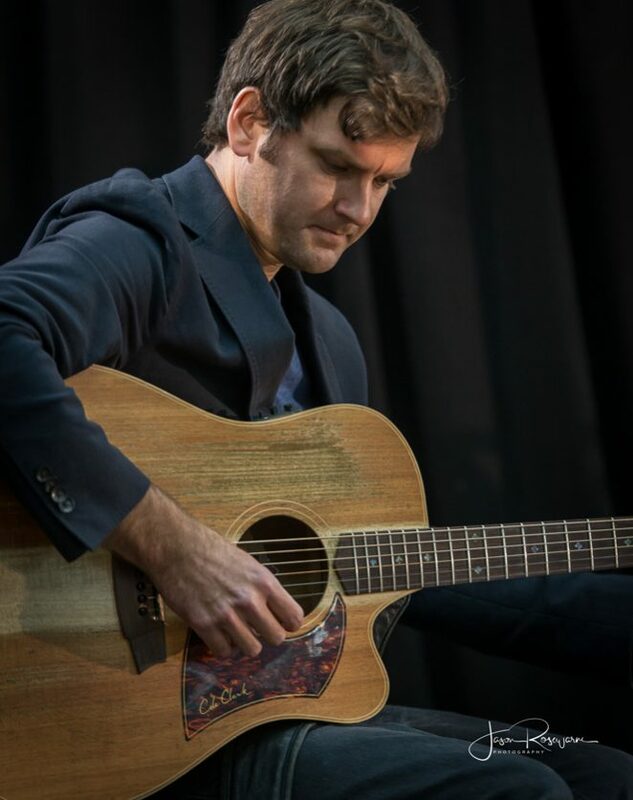 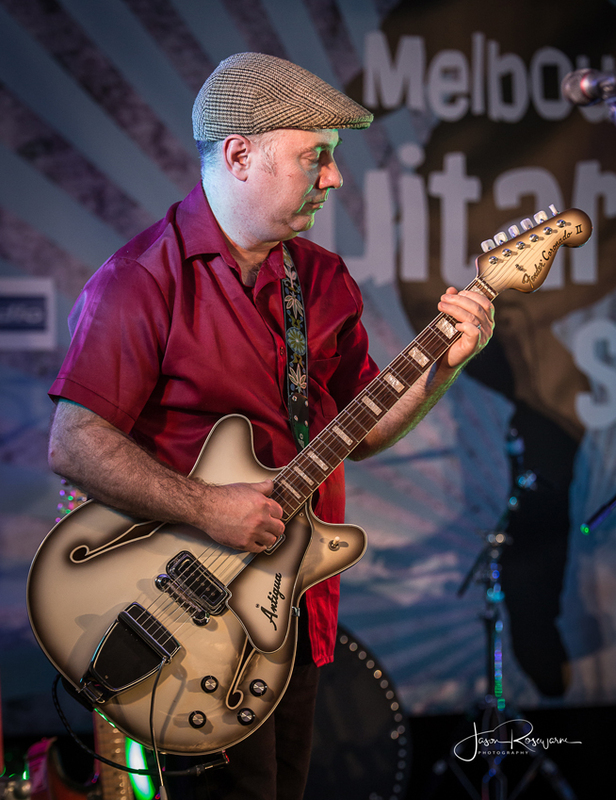 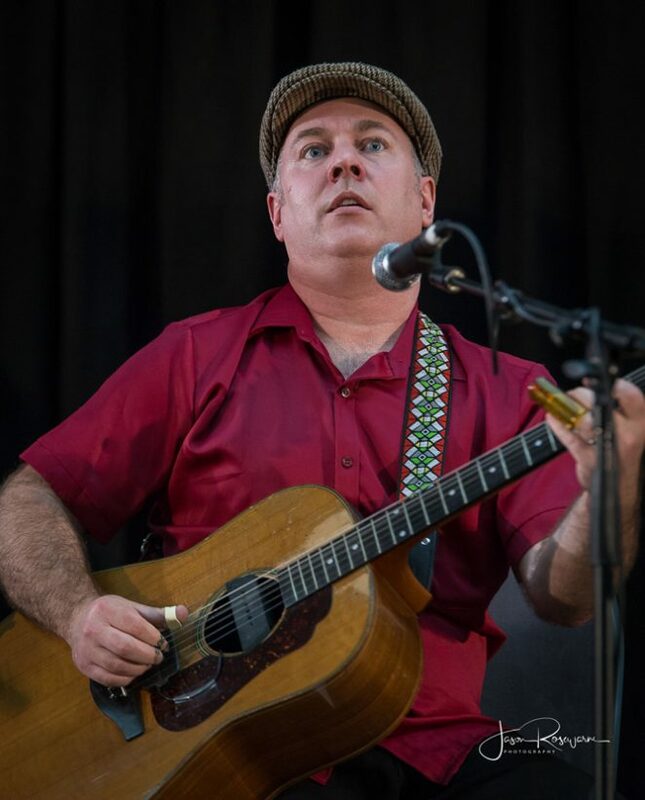 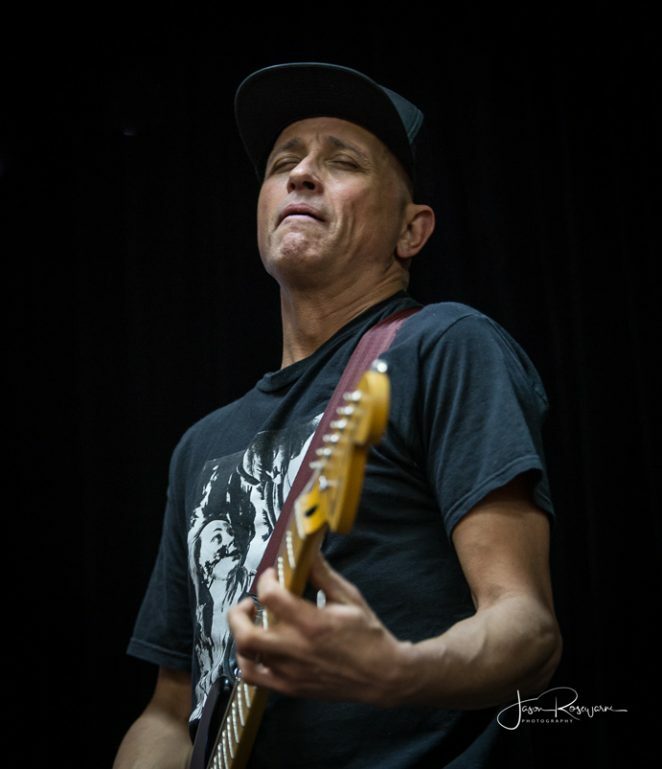 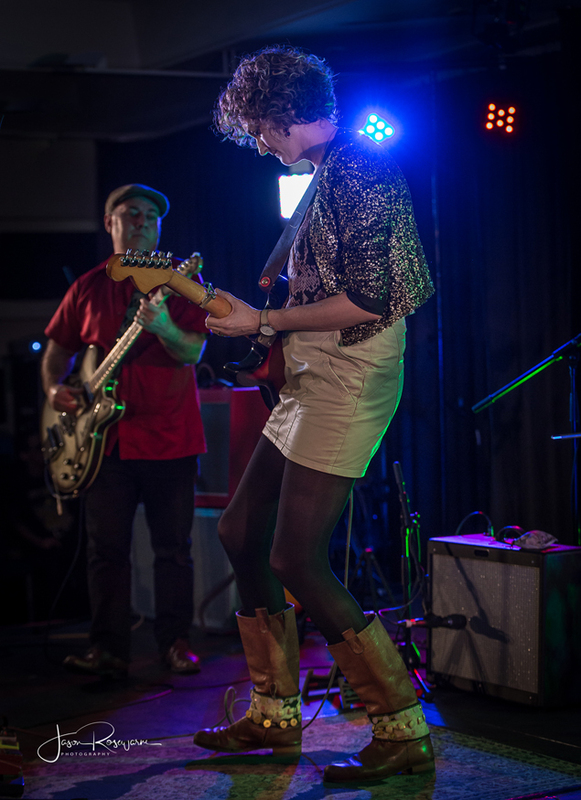 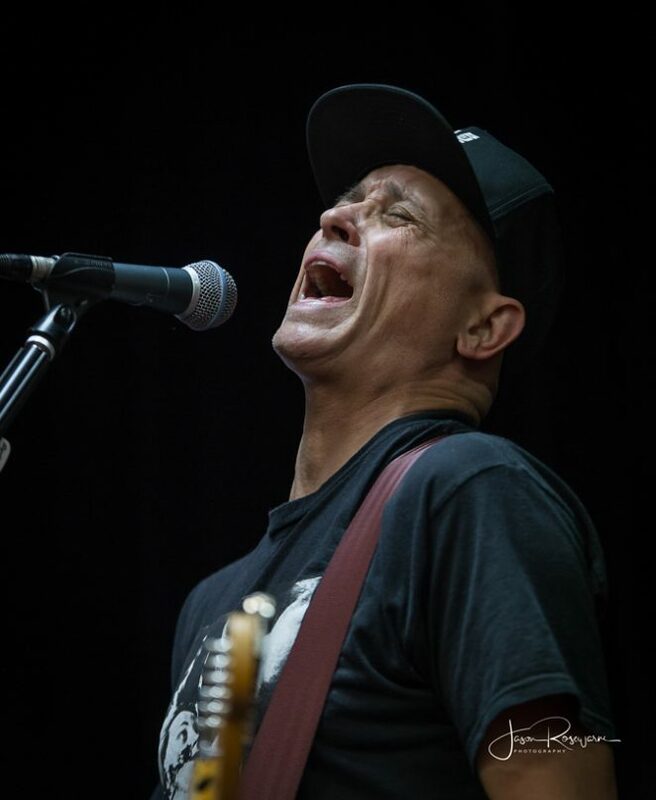 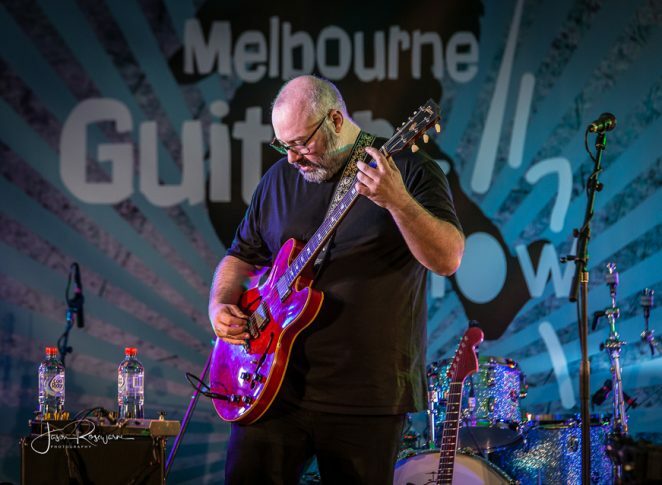 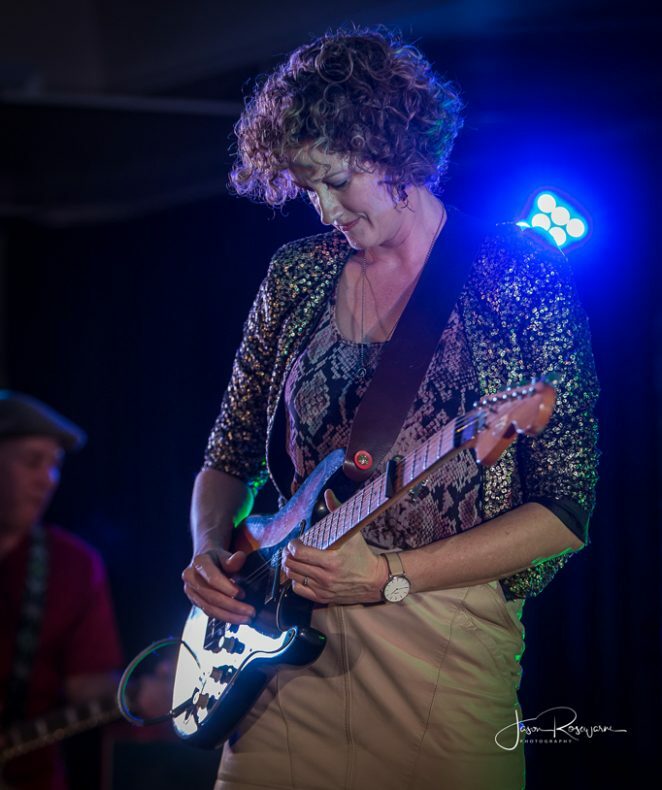 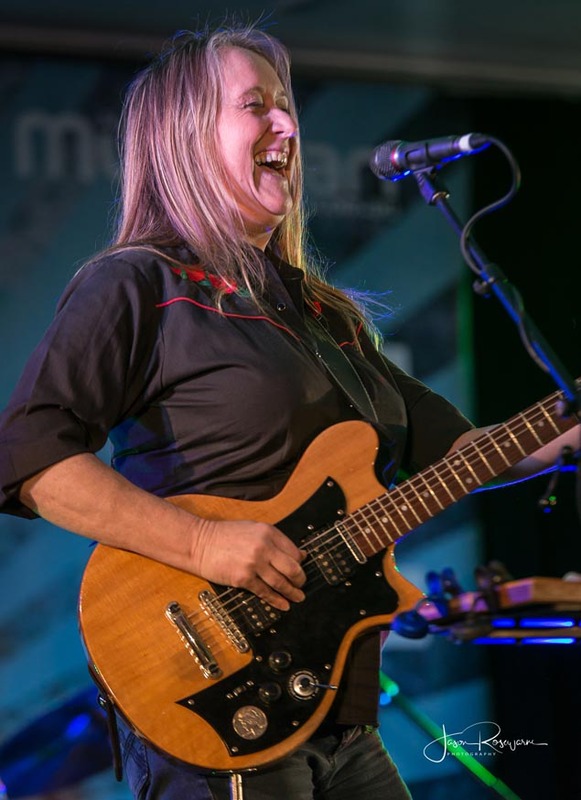 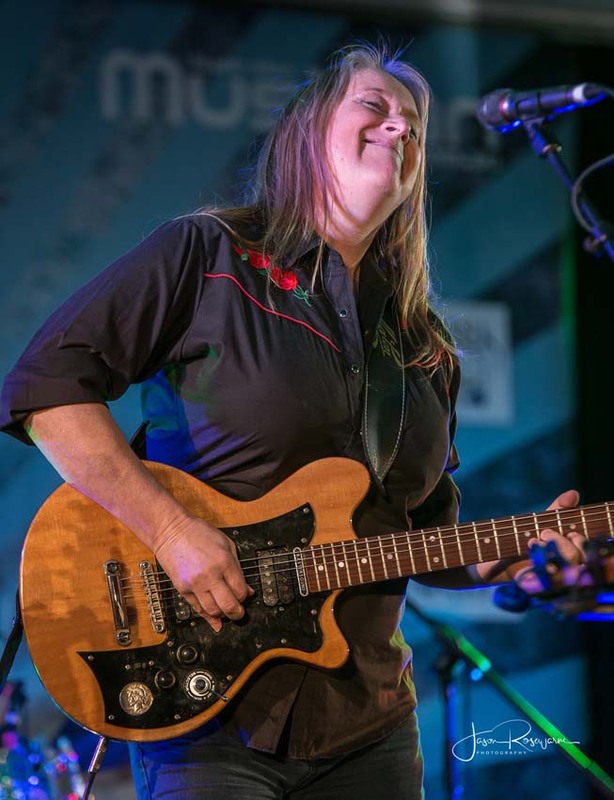 The Melbourne Guitar Show is renowned for it’s ‘moments’ and one of the weekend’s most poignant was Fiona Boyes being joined by Shannon Bourne to pay tribute to our music community’s beloved blues hero Chris Wilson, who was recently diagnosed with terminal cancer. 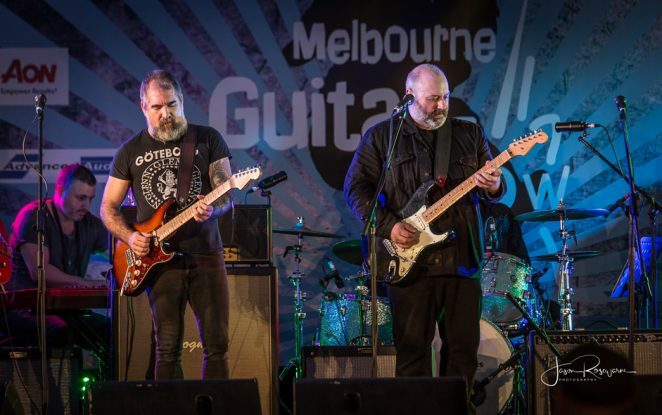 Bourne has played with Wilson throughout his career and one could feel the weight of the moment as, backed by Mark Grunden and TIm Neal they played one of Chris’ songs ‘Face in the Mirror’. 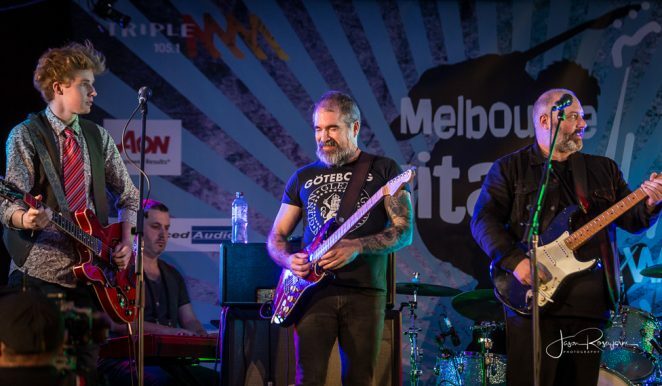 The local blues music community will gather at the Corner Hotel on August 24th for a tribute to Chris. 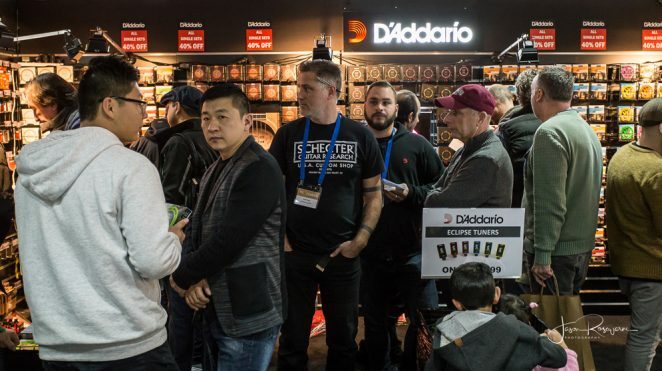 As usual it’s not just the advertised rock stars that attend the Melbourne Guitar Show, some just come to check out the gear and catch up with old friends. 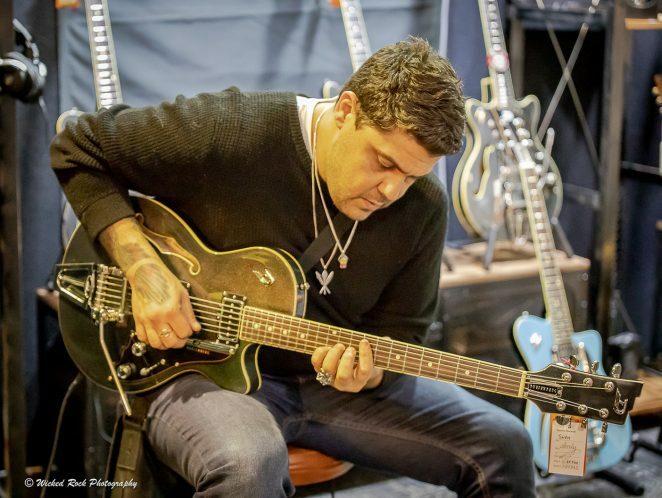 Seen on the booths checking out gear were Dan Sultan, Powderfinger’s Darren Middleton (who we stole for a chat about his new solo album Tides. 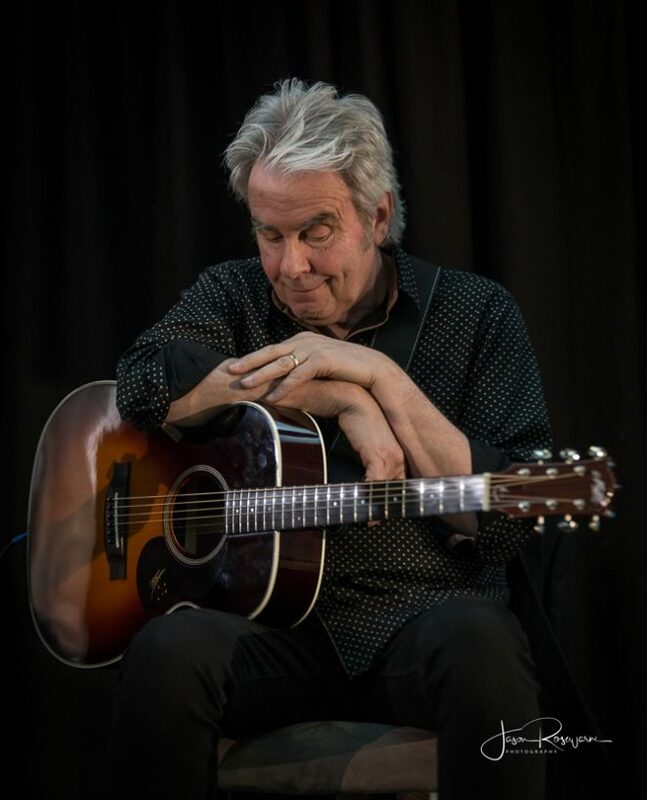 Interview online soon), and it was also great to see John Farnham band’s Stuart Fraser looking good and enjoying the guitar show. 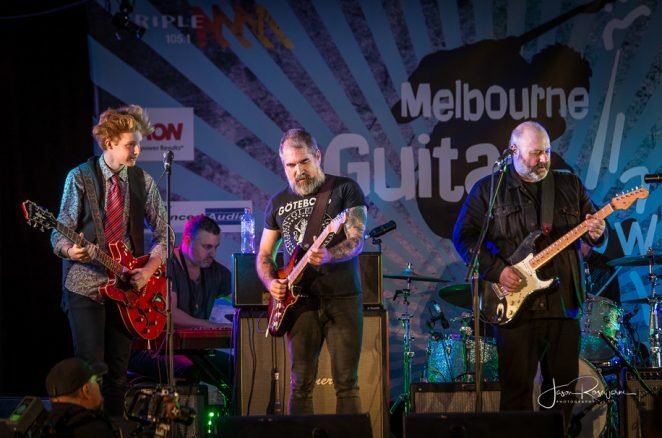 The highlight for many however was the Triple M Finale Jam, featuring Jack Jones (aka Irwin Thomas), Brett Garsed, Shannon Bourne, James Ryan and Charlie Bedford. 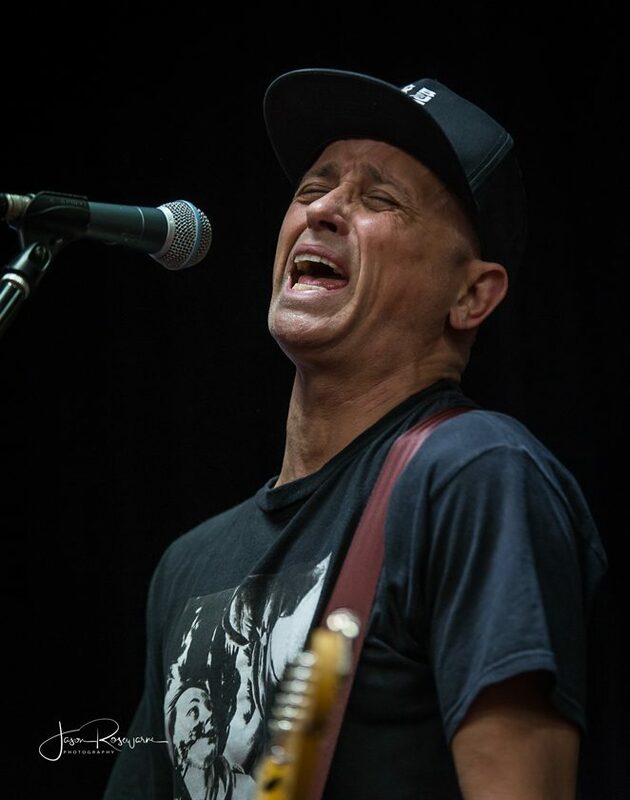 Backed by a killer rhythm section of Marcus Ryan and Rod Bustos and with the one and only Phil Turcio on keys, this world class band made one hell of a ‘phat’ sound together. 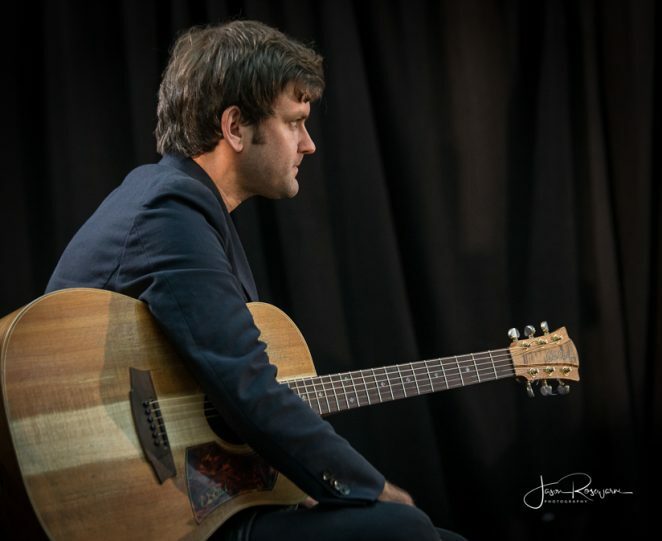 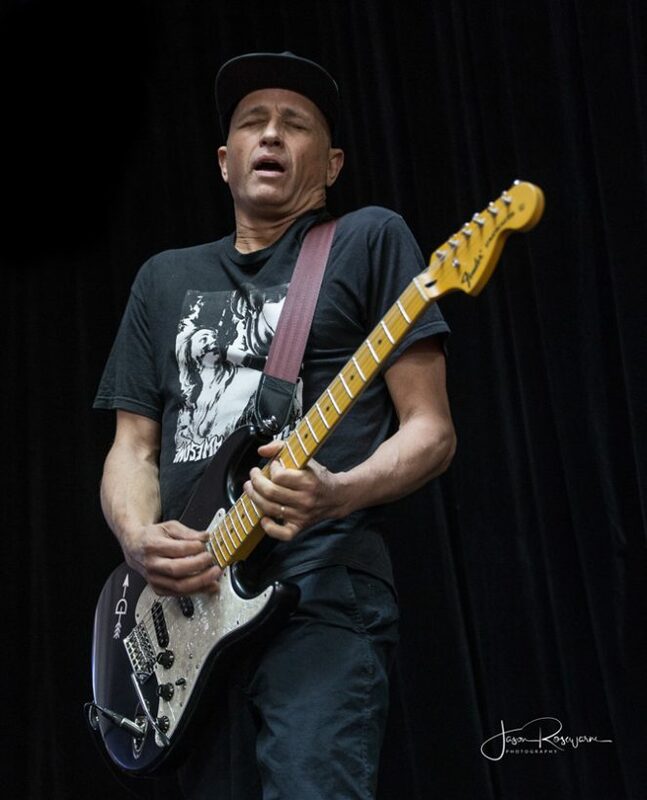 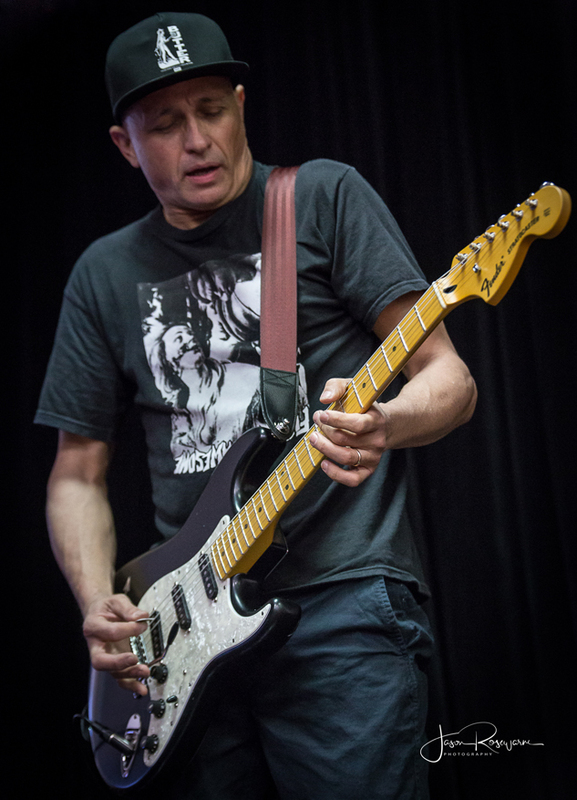 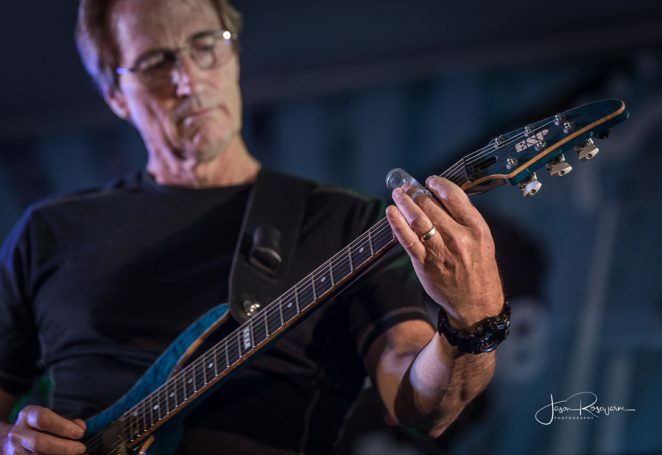 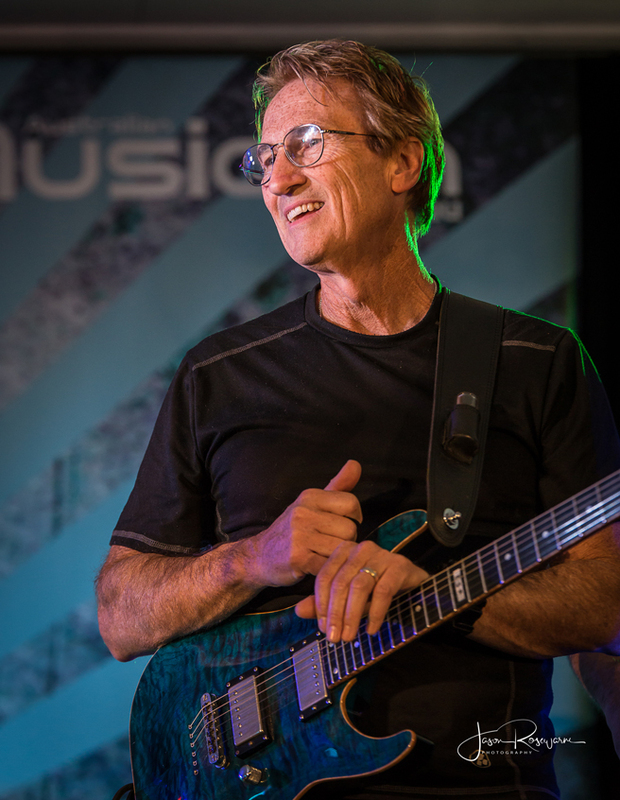 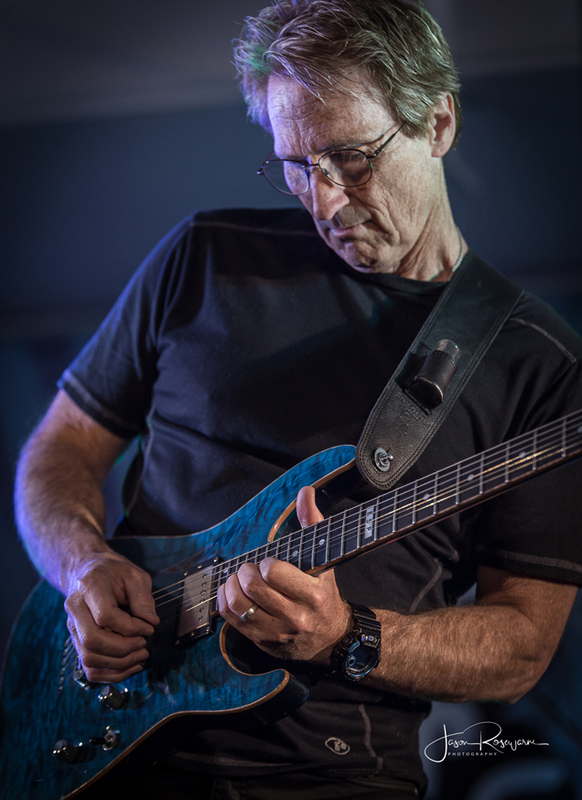 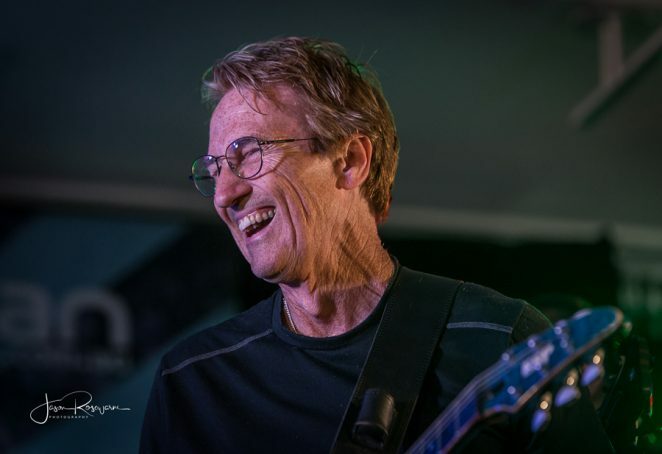 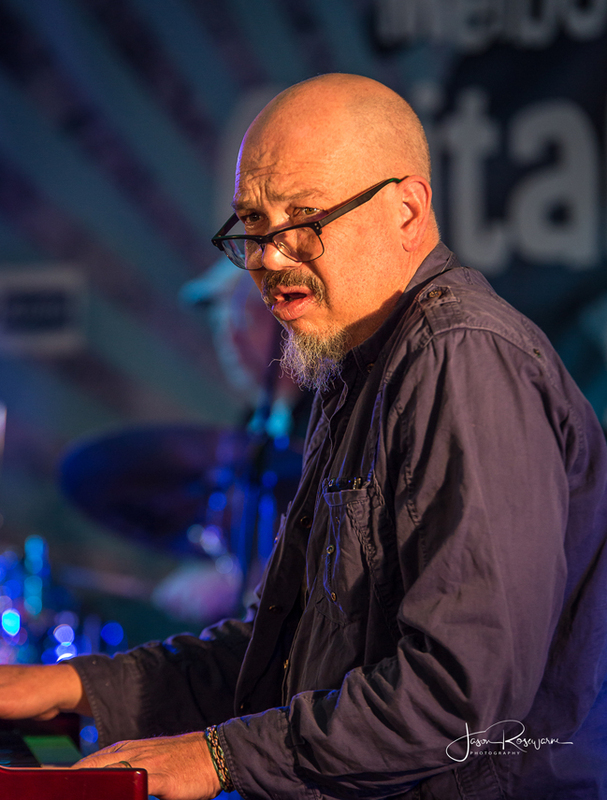 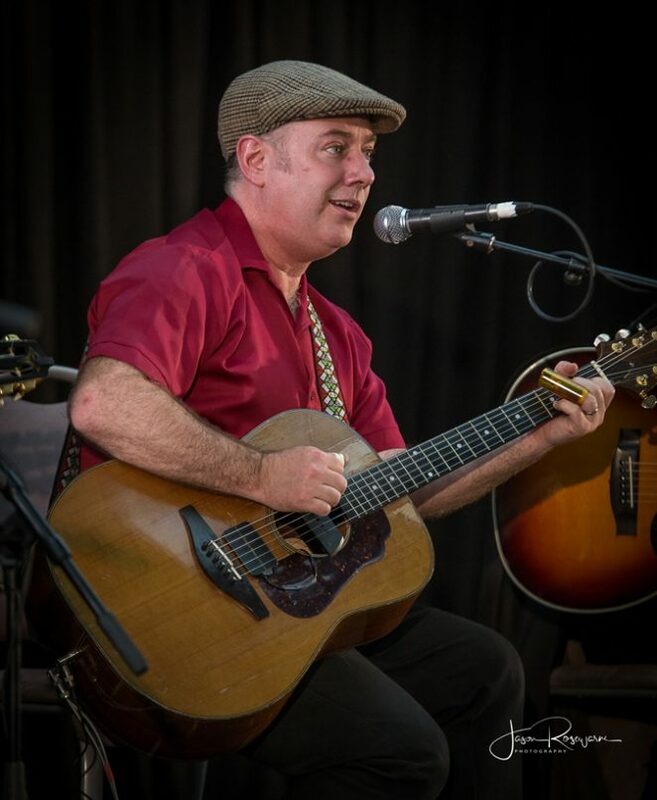 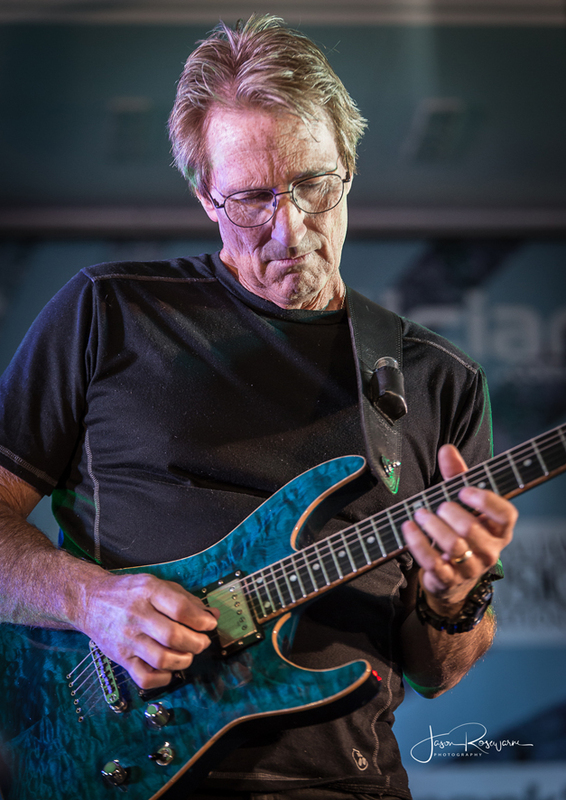 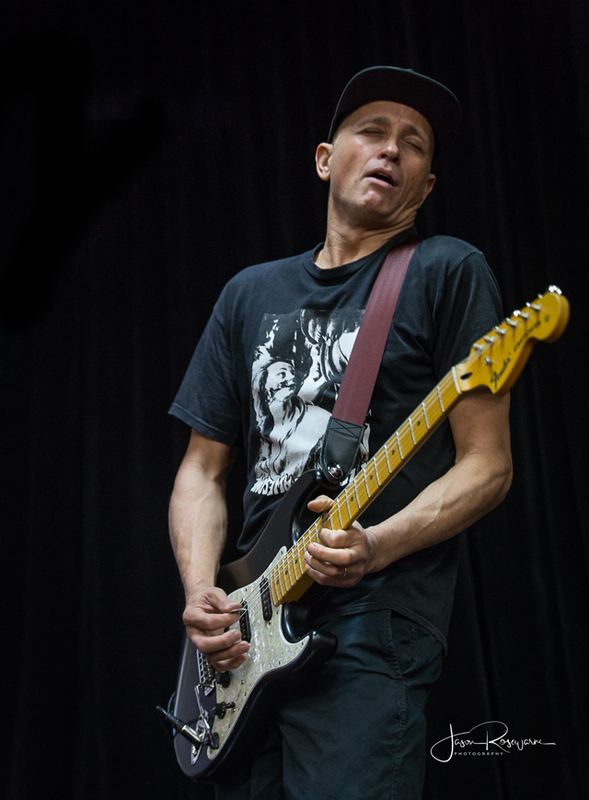 In 2015 Charlie Bedford was asked on stage to jam with Lloyd Spiegel. 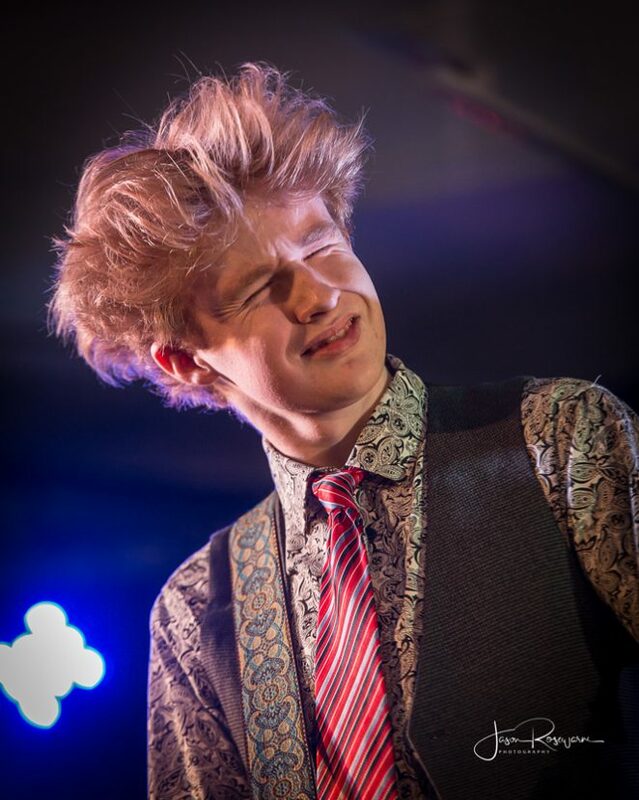 Since then Charlie has really studied his chops and is sounding fantastic. 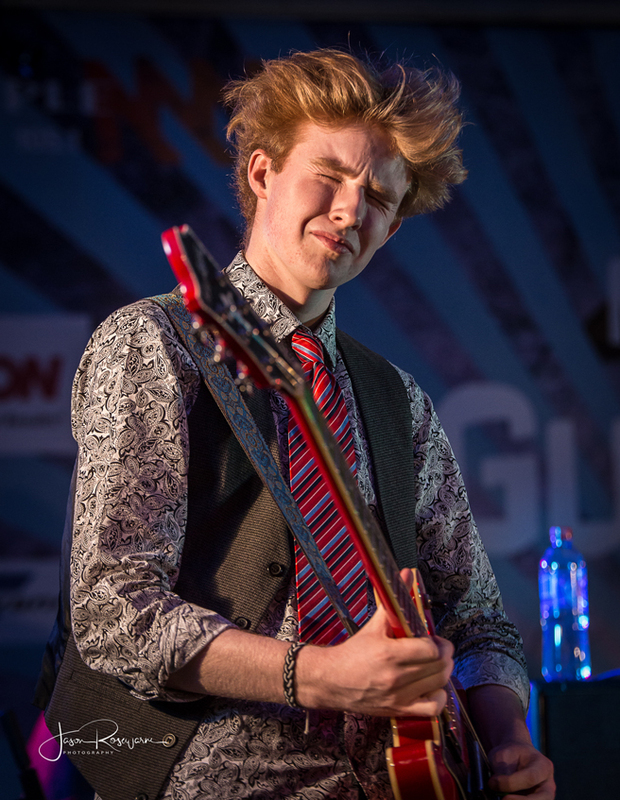 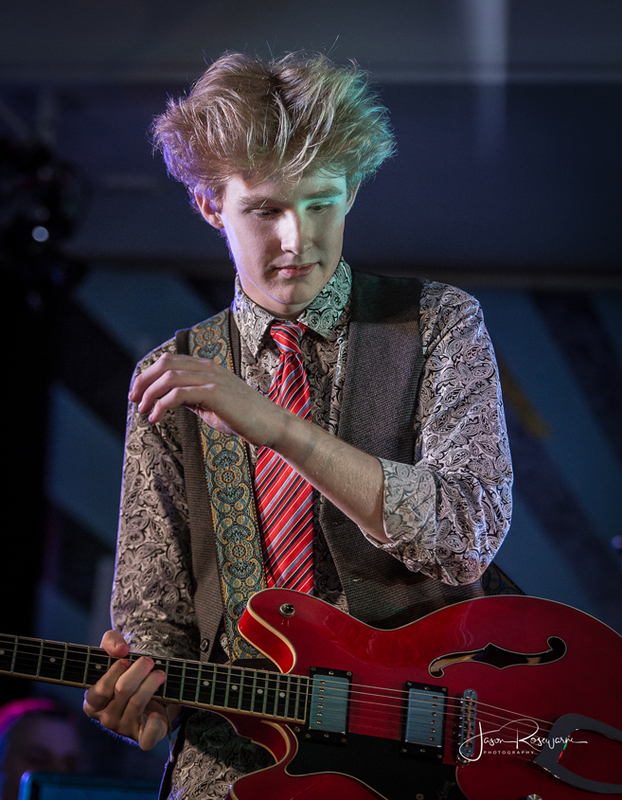 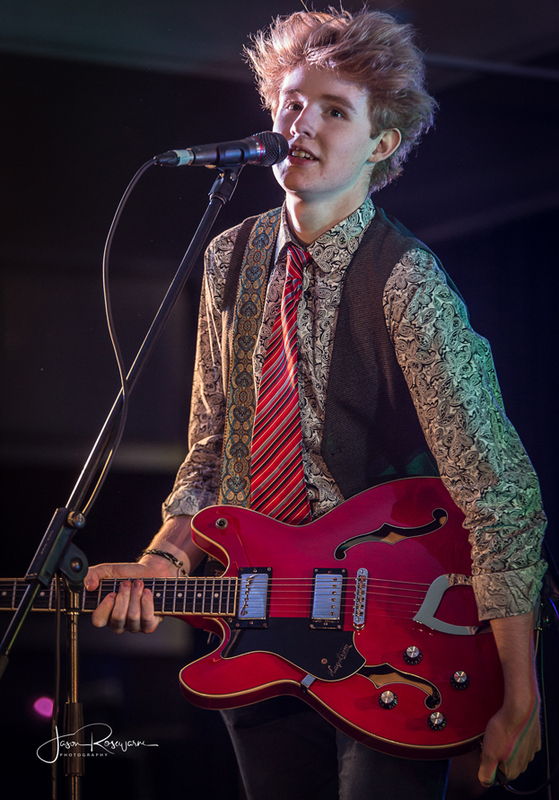 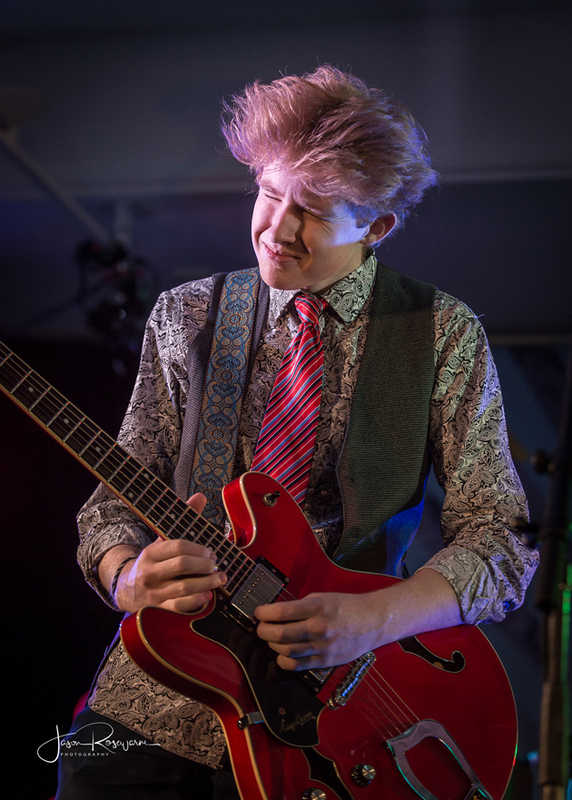 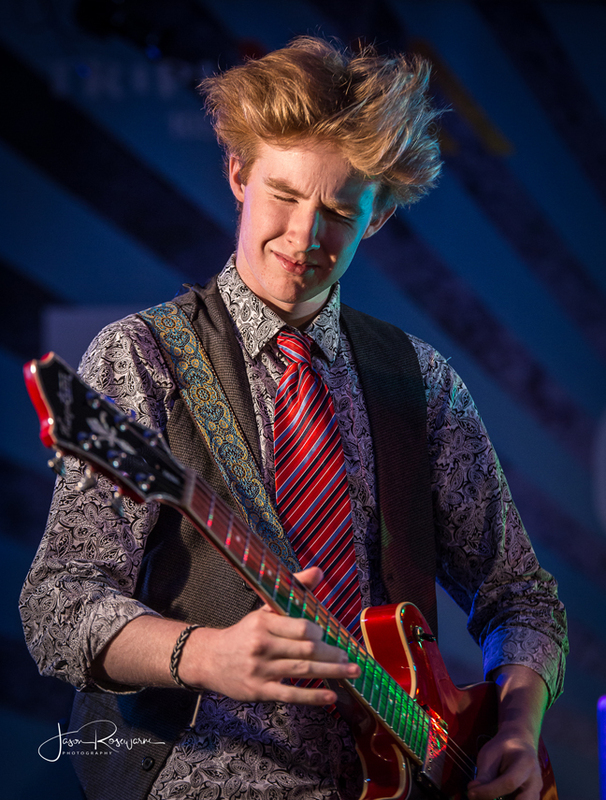 It was so warming to watch young Bedford grab his opportunity with zest and nail his guitar parts, which he played with passion, fluidity and fun-filled energy. 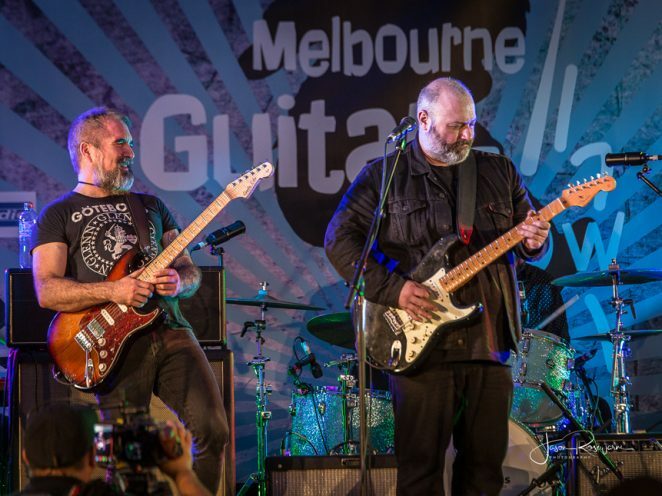 Jones and Bourne swapped Hendrix licks and the enjoyment on the stage was palpable, particularly during Brett Garsed’s sublime exchanges. 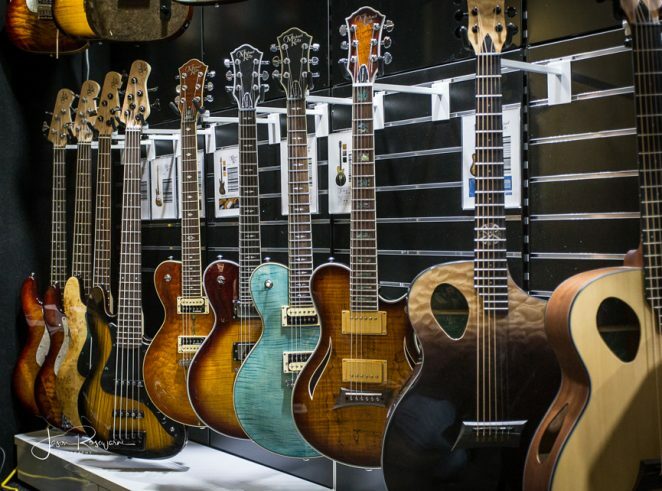 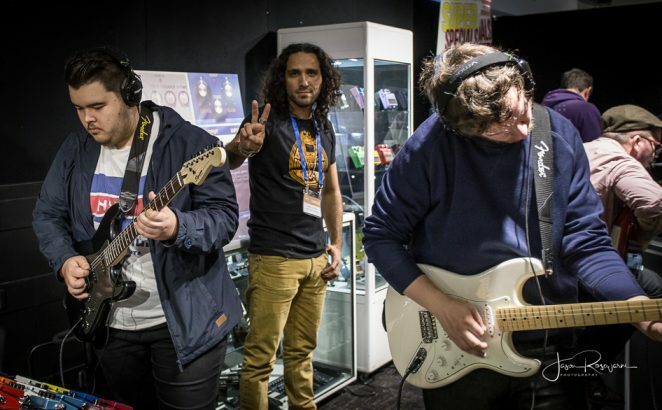 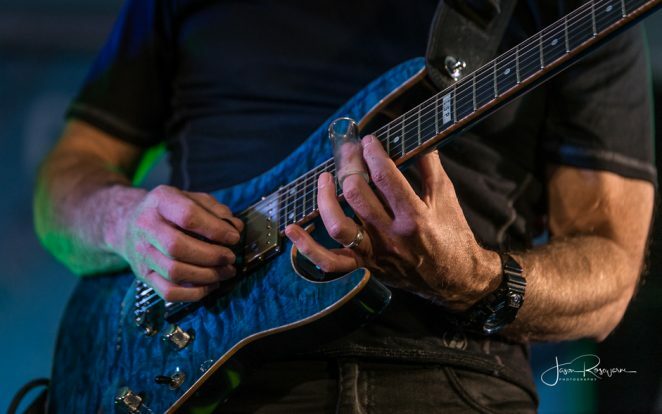 The Melbourne Guitar Show continues to grow in stature, not only among the musicians and instrument industry but to the greater public as well, some spurred to come by the fantastic news piece that Channel 9 telecast during their 6pm news. 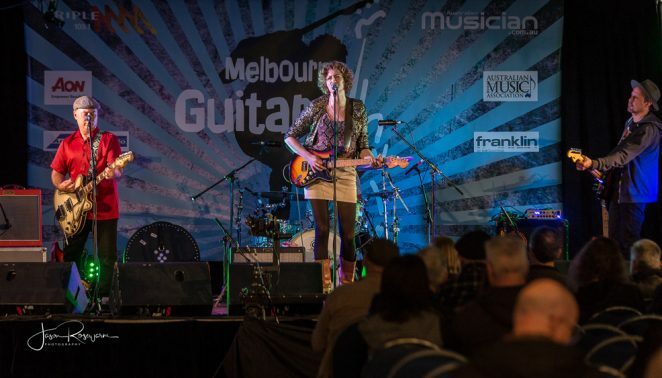 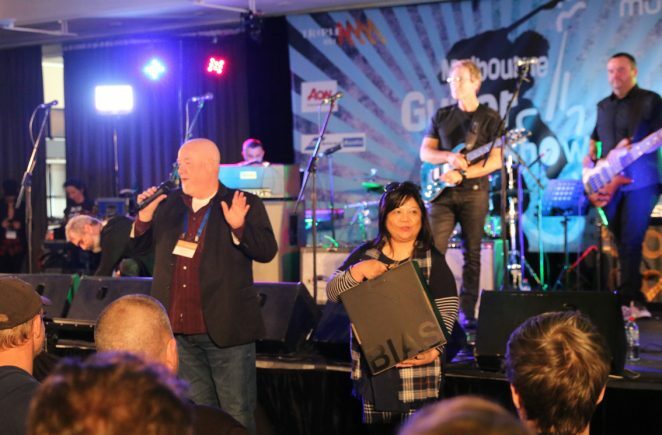 For many, the 2018 Melbourne Guitar Show ended all too soon but fear not, the venue and dates have already been booked and we’ll see you back at Caulfield Racecourse on August 3 and 4, 2019. 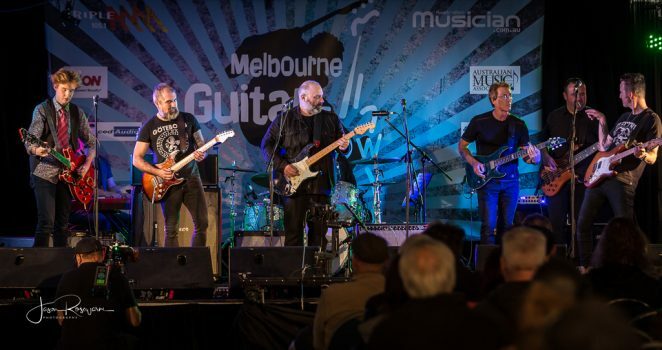 Video interviews conducted at the guitar show with Diesel, Harts, Albert Lee and Darren Middleton will soon be online. 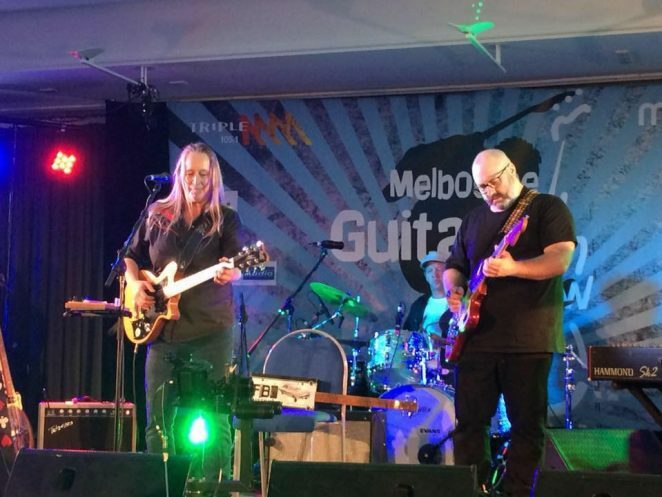 Shannon Bourne joins Fiona Boyes in tribute to Chris Wilson. 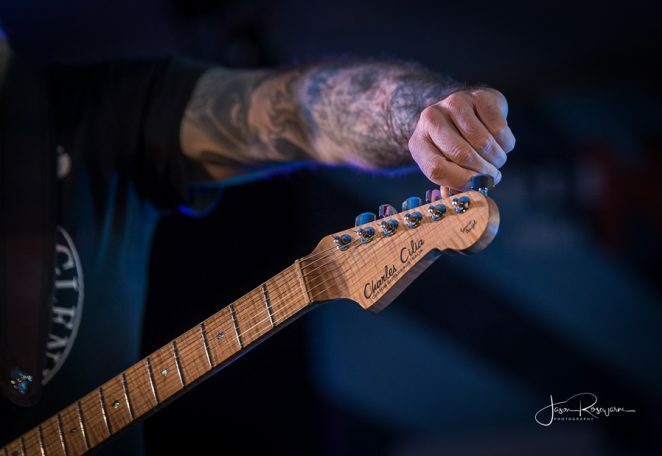 Pic by Michael Rae.